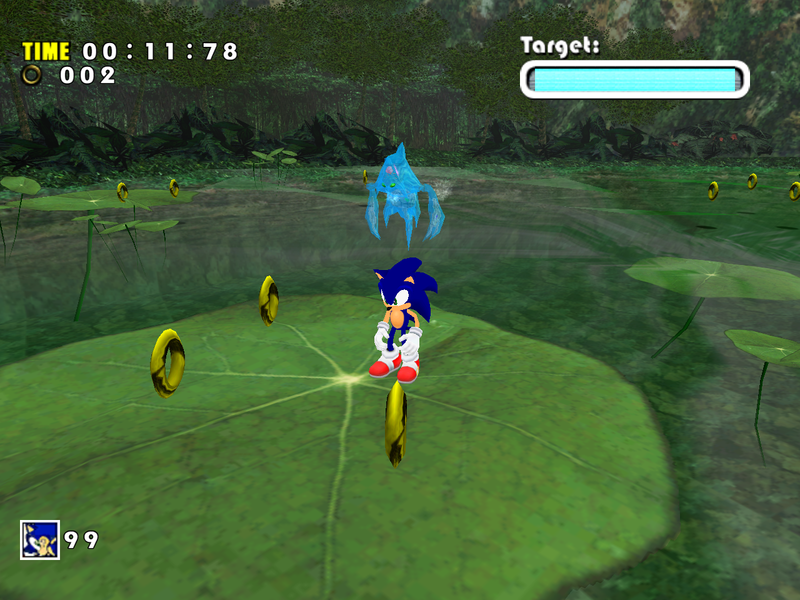 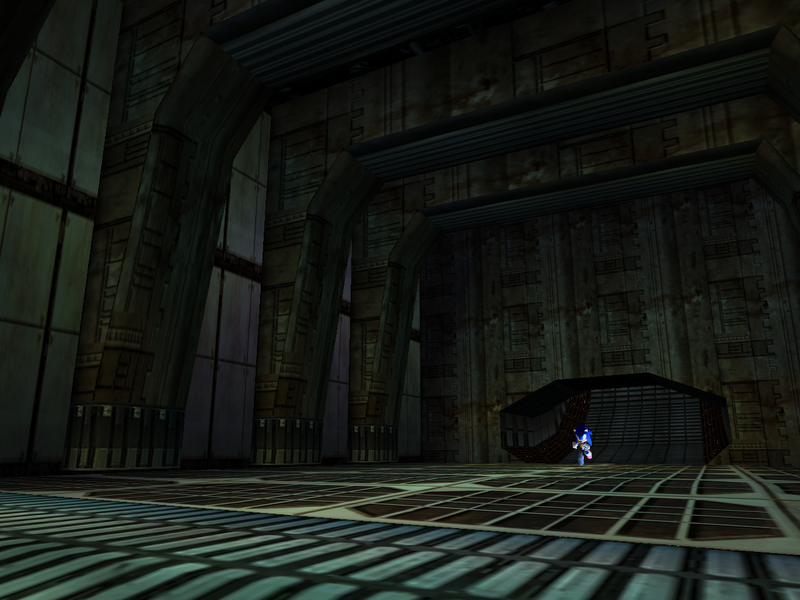 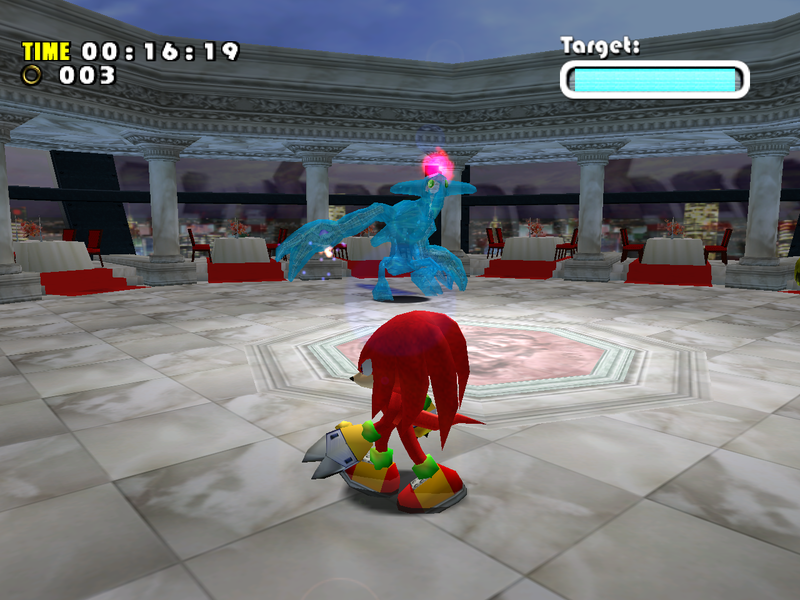 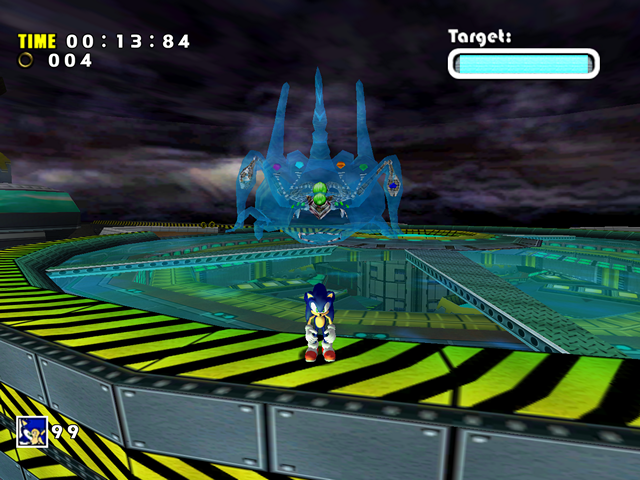 As you may have seen in the Action Stage and Adventure Field sections, almost every area in the game was downgraded in SADX, and unfortunately the bosses are no exception. 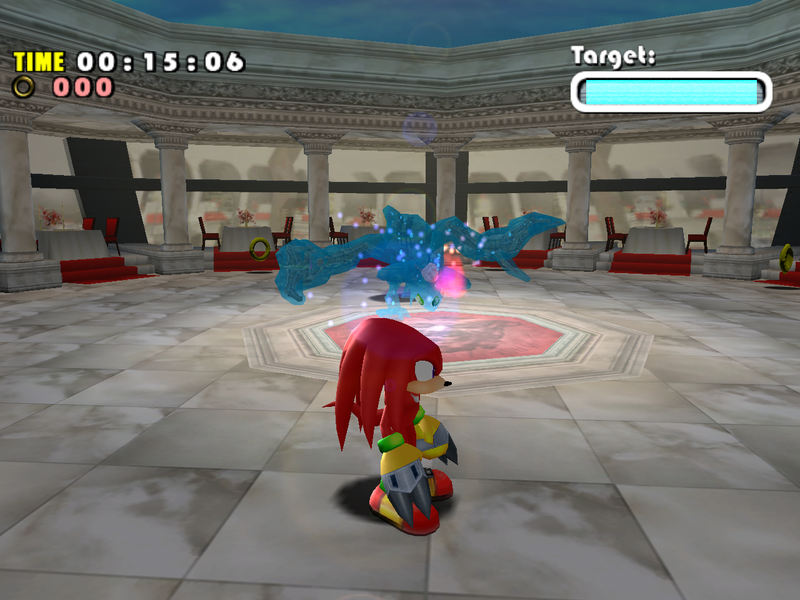 In many cases the problems seen in boss battles are related to stage downgrades, but there are also several boss-specific effects broken or removed, and certain issues are specific to the PC port. This post is an all-in-one boss marathon so it’s going to be a little long, but that’s only because all bosses in the game have issues that weren’t there in the original game. 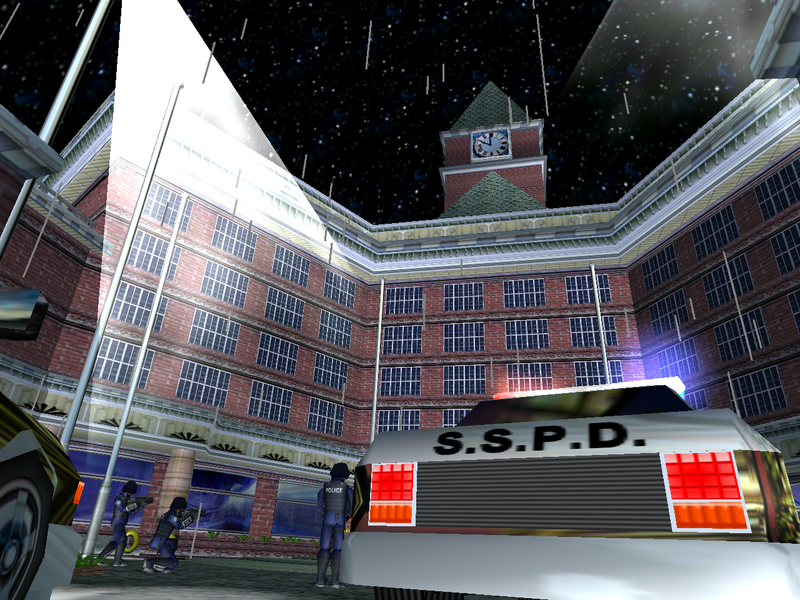 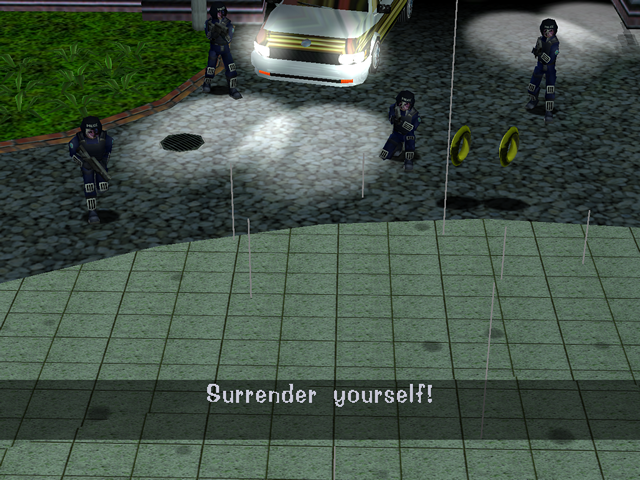 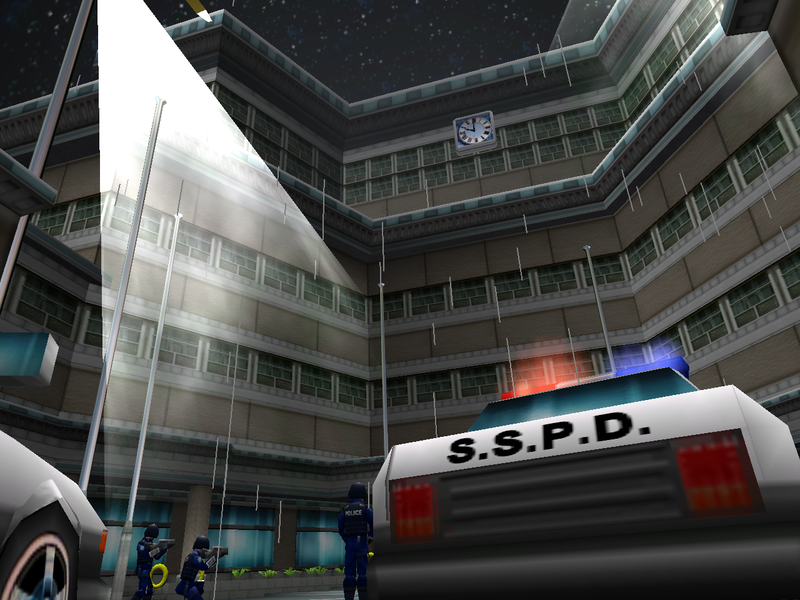 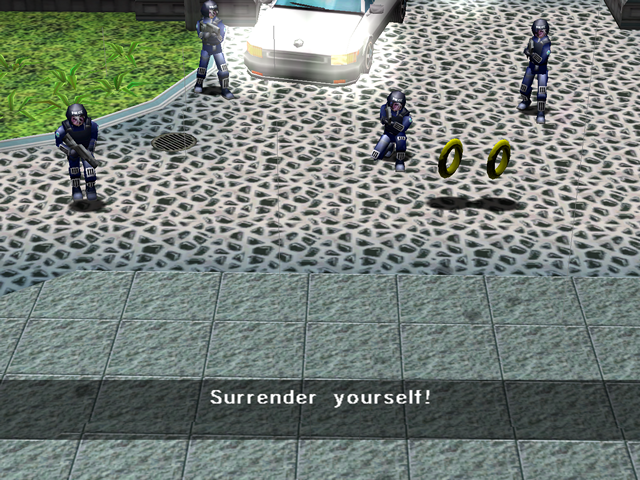 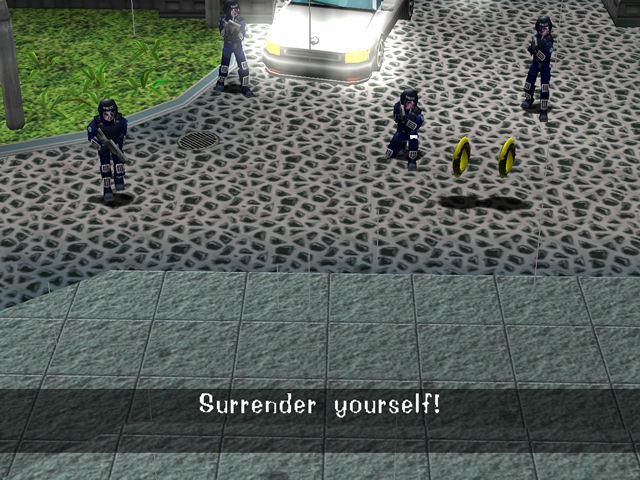 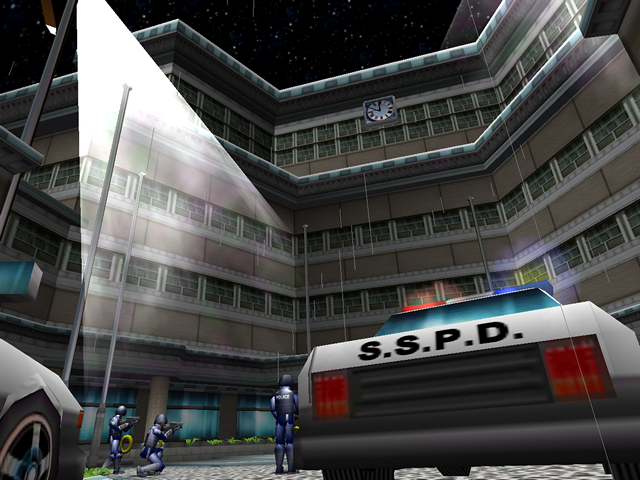 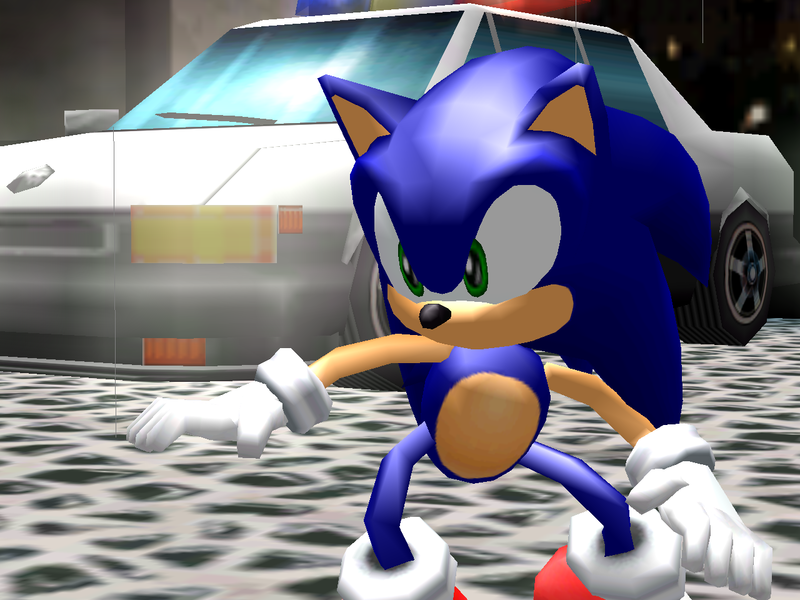 You can see that the variety of textures is a bit less impressive in SADX, for example the windows on the police car use the same texture as window reflections. 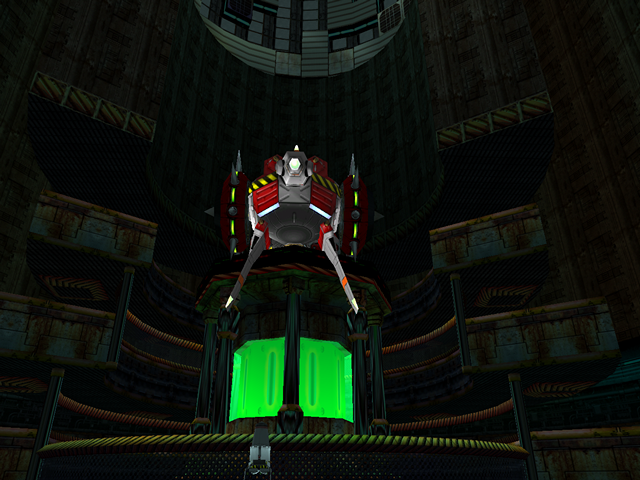 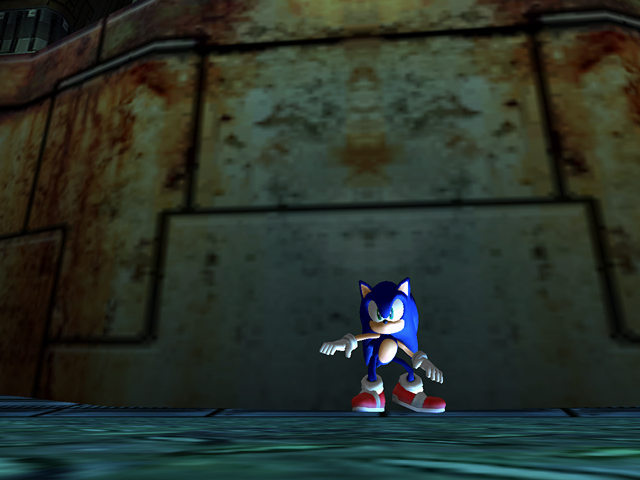 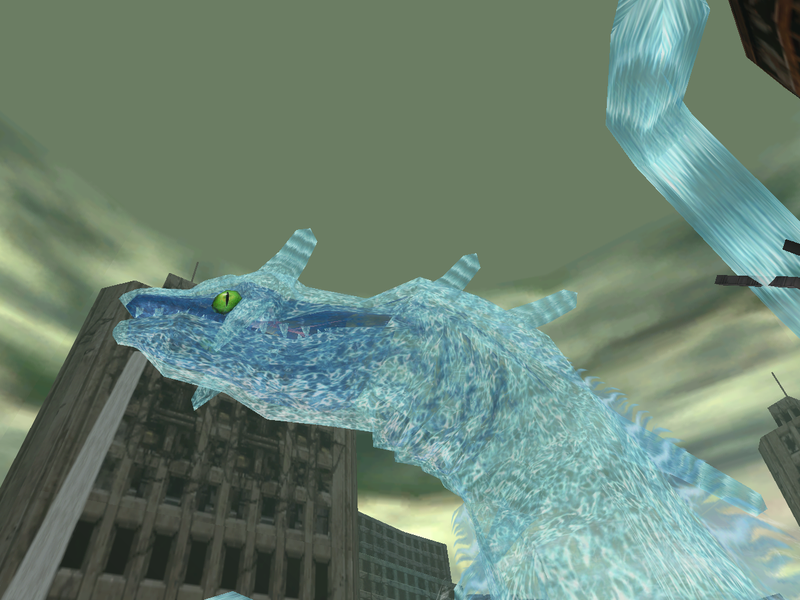 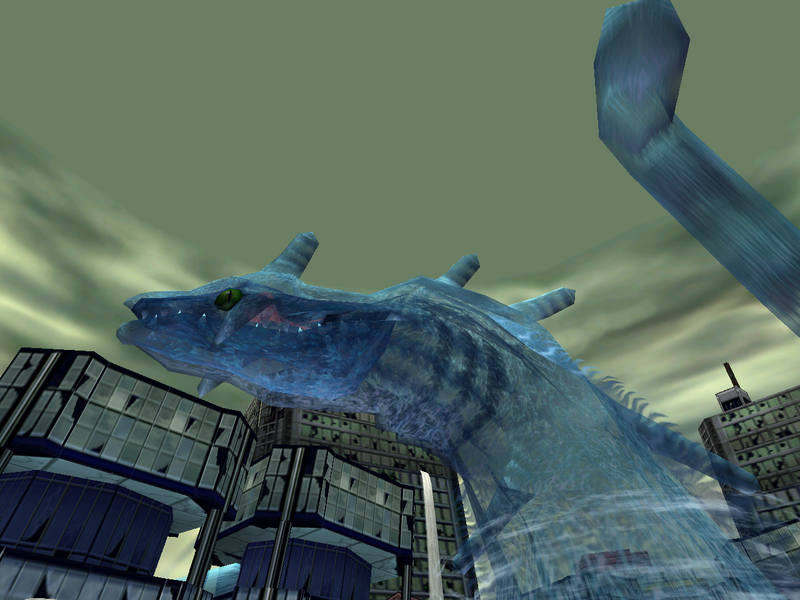 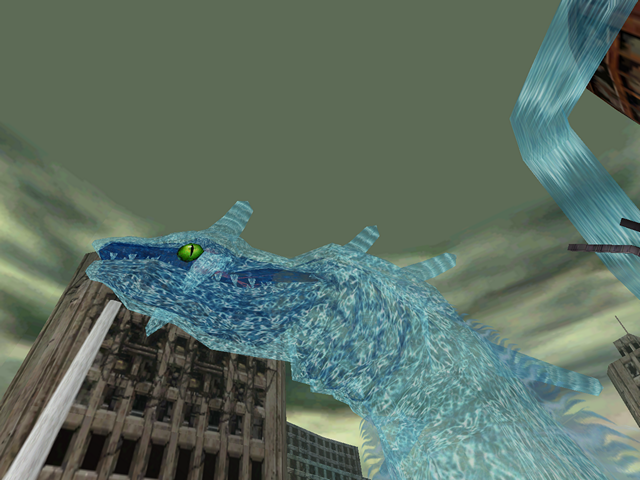 In addition, none of the glass surfaces have the distortion effect (environment mapping) that was there in the Dreamcast version. 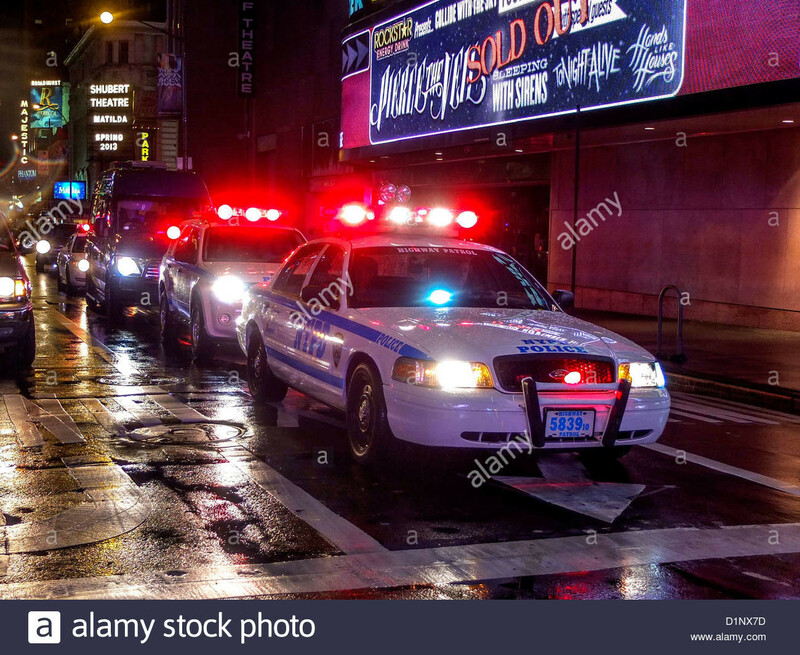 The back lights on the police cars are no longer lit up for some reason. Those rotating pieces are still there, but you never see them because the parts of the police car model are rendered in an incorrect order. Finally, let’s have a closer look at the police car. 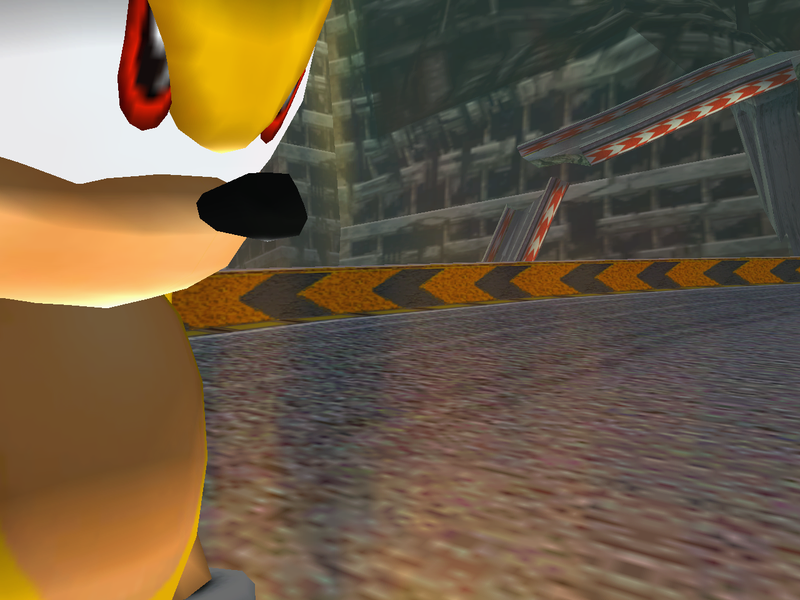 Which one do you think looks better – the Dreamcast one with all those reflections going on, or the SADX one, where the reflections were replaced with static low-resolution textures? 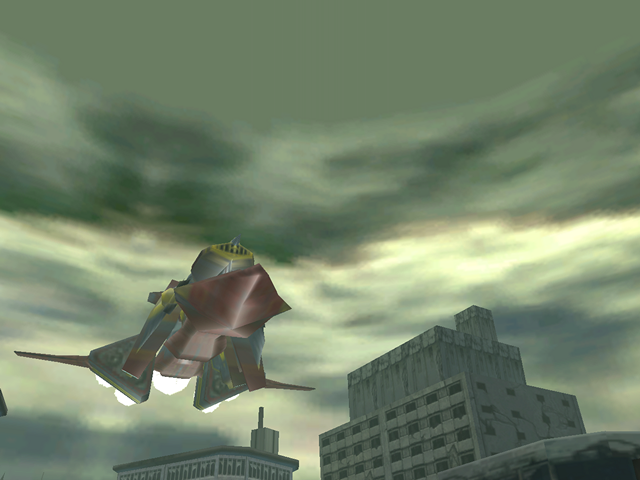 Even the windshield has lost its textures for some reason. 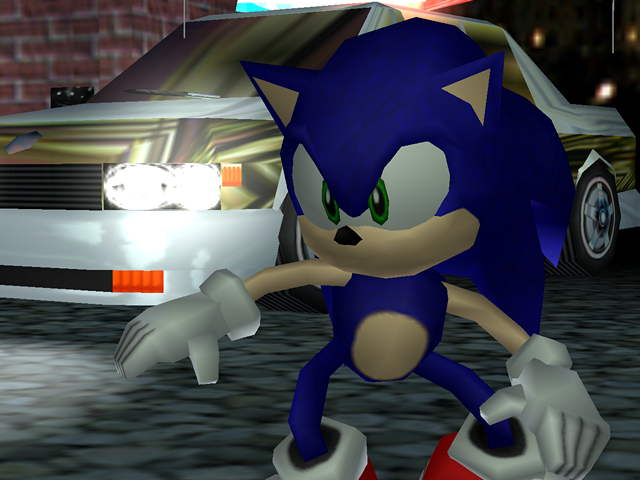 Some people say the SADX one “looks more like a real car”. 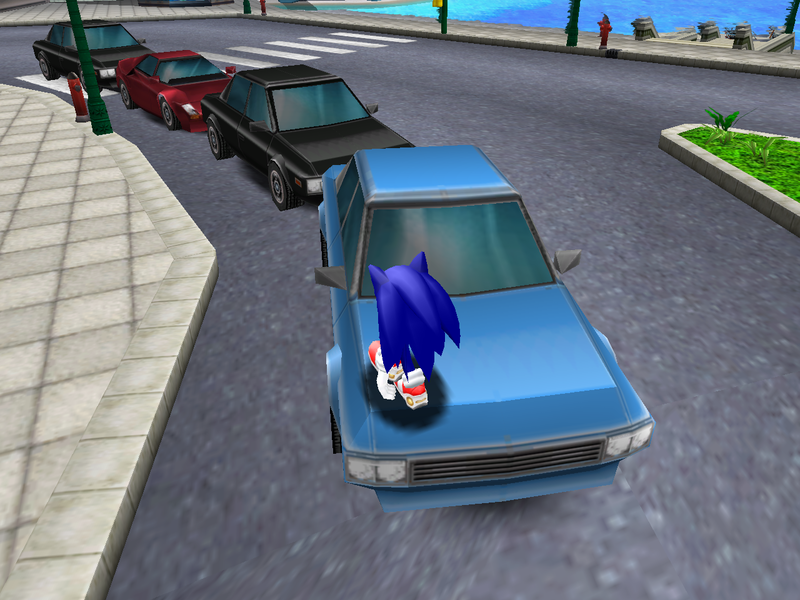 I have two counter-arguments to that: 1) this is the wrong kind of realism to be looking for in a game about a cartoon hedgehog, where the environments are supposed to be bright and colorful, and 2) the SADX car isn’t more realistic because it removes the “metallic” surfaces, which are characteristic of real cars. It’s pretty obvious what the designers of the original game were going for: a visually impressive, cinematic look similar to this. 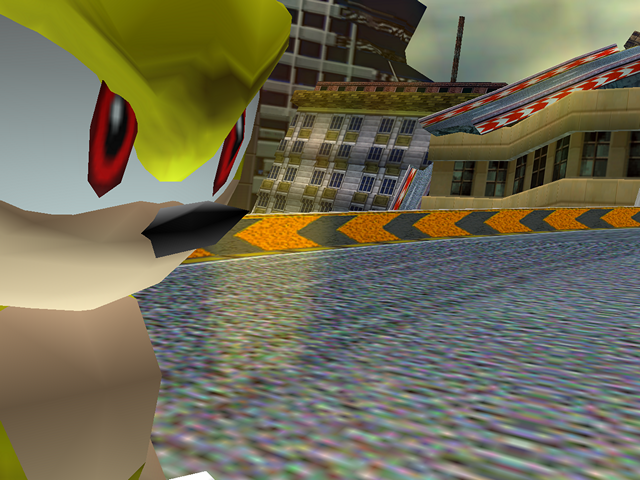 Now look back at the comparisons above and see which one does a better job at recreating that: the one from a 1998 game with metallic reflections, or the one from a 2003 game with plastic surfaces and low-resolution textures? The circled areas are leftovers from the Dreamcast model. 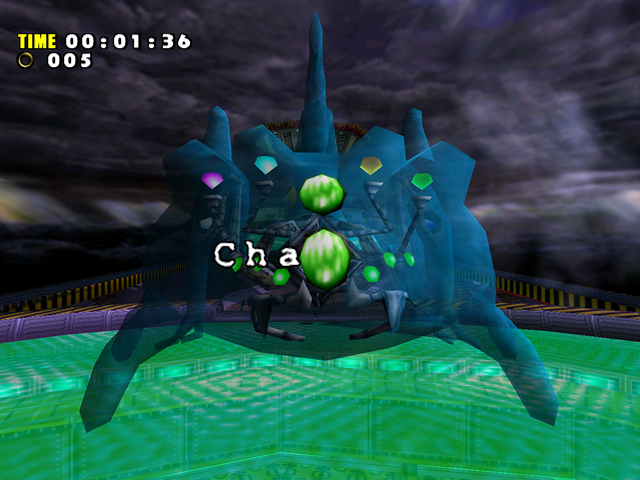 Those pieces were moved inside the car so that they are no longer visible. 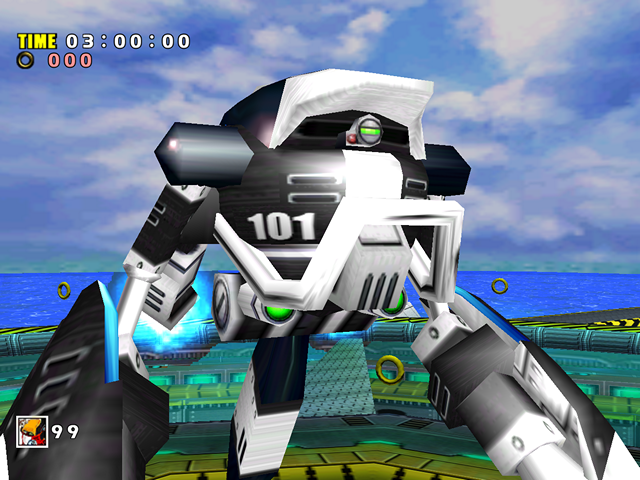 They were likely kept due to compatibility reasons, as the “new” car model has the same animation and therefore the same overall model structure as the original model. 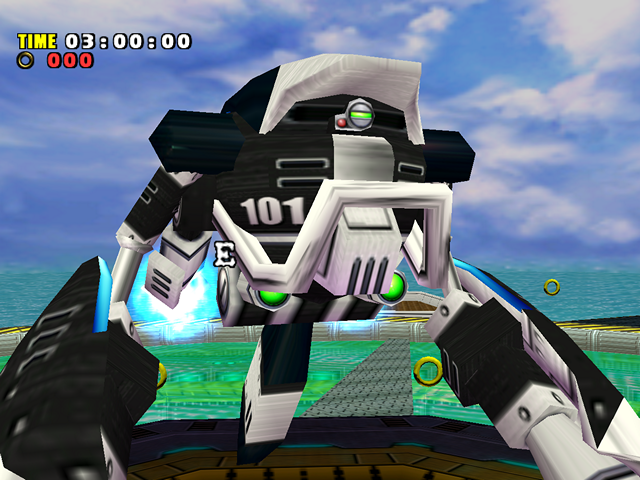 While leftovers like that aren’t uncommon in game development, for a supposedly better version of the game this is a half-hearted change that makes one wonder whether this car was changed in a legitimate attempt to improve visuals, or it was simply downgraded in a quick attempt to hit 60 FPS on the Gamecube. Whichever the case, the “new” model is not a good upgrade by any means. The greenish glow around Chaos’ chest and torso in the Dreamcast version is added by the palette lighting system, which was removed in the ports. But the most noticeable difference is the blue coloring of Chaos in the PC version. 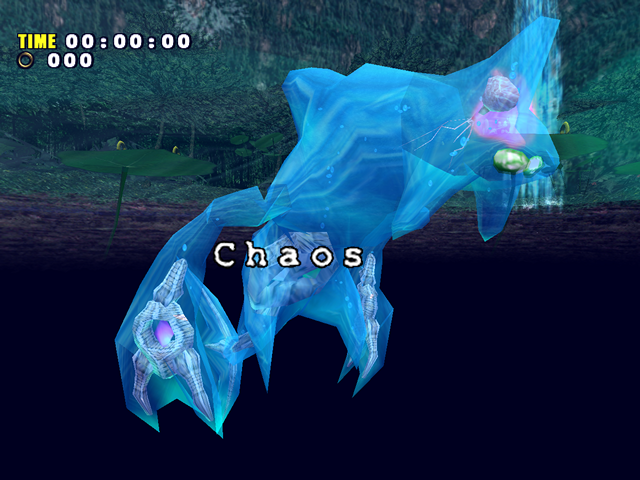 This is not a design change. 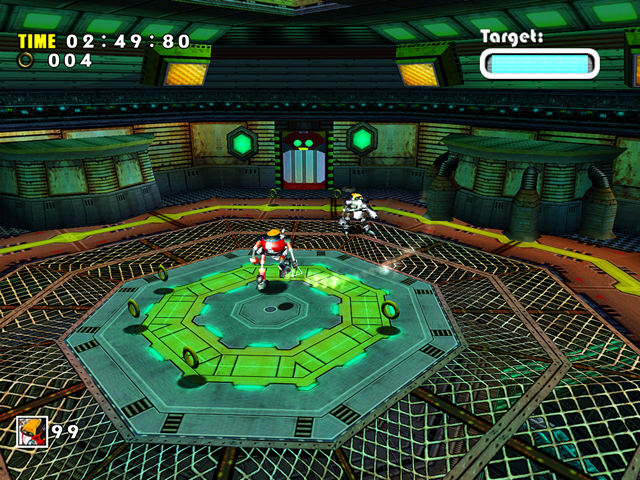 It is caused by an oversight in the PC port, which makes the game process material colors even when it is not necessary. 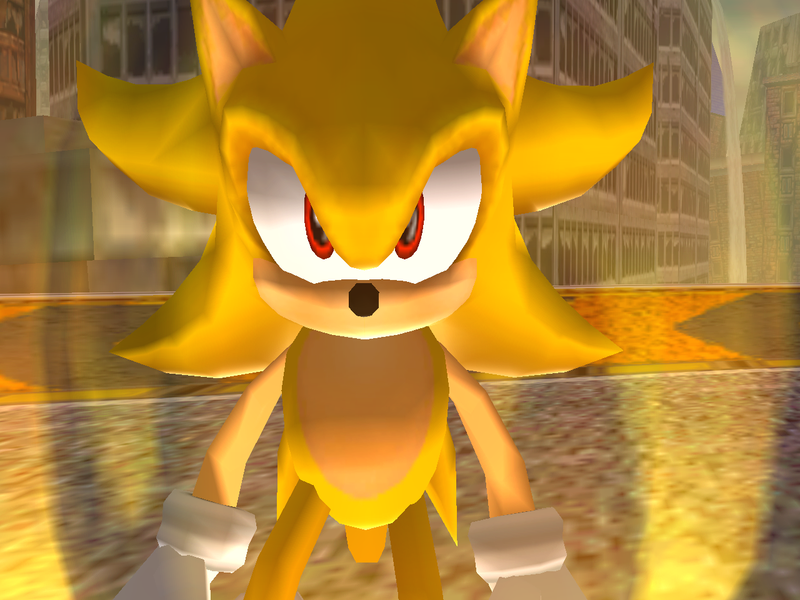 The console versions of the game don’t do that (but the nextgen console ports do). 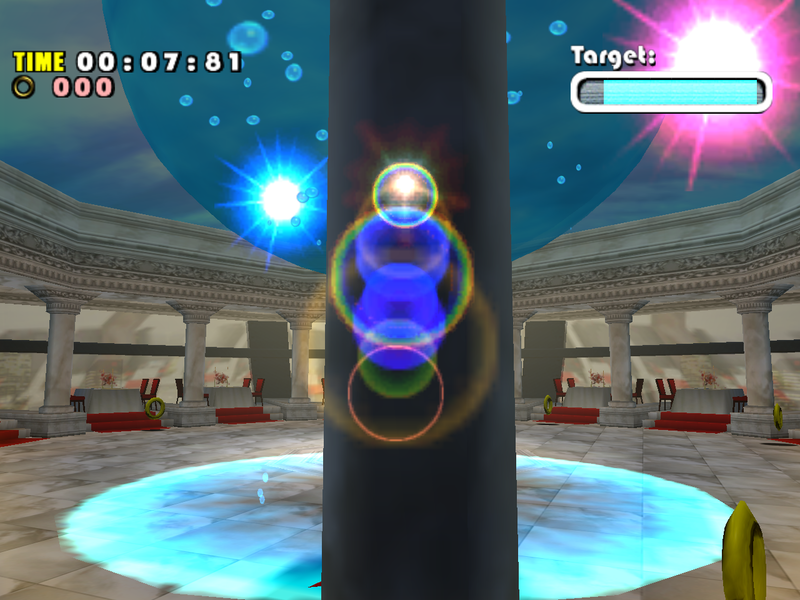 The columns in this fight are supposed to become transparent when they are close to the camera. 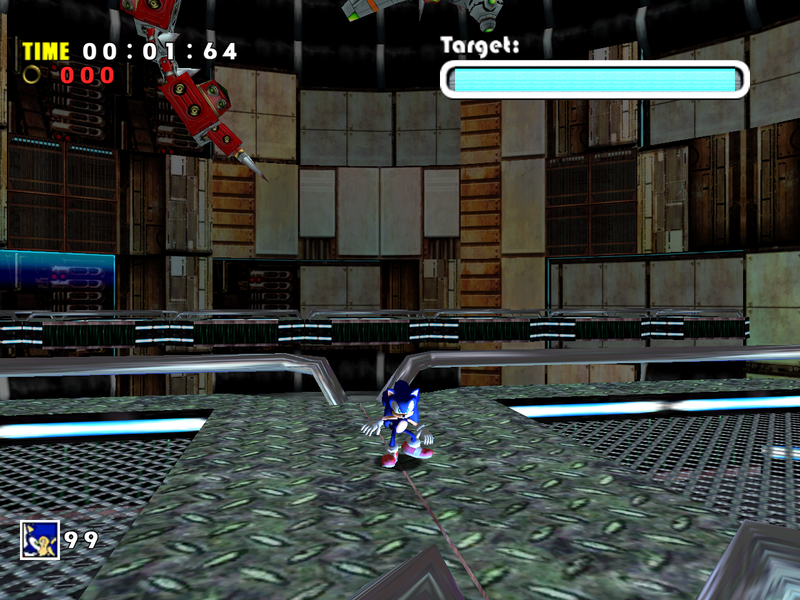 This only happens on the Dreamcast, however. 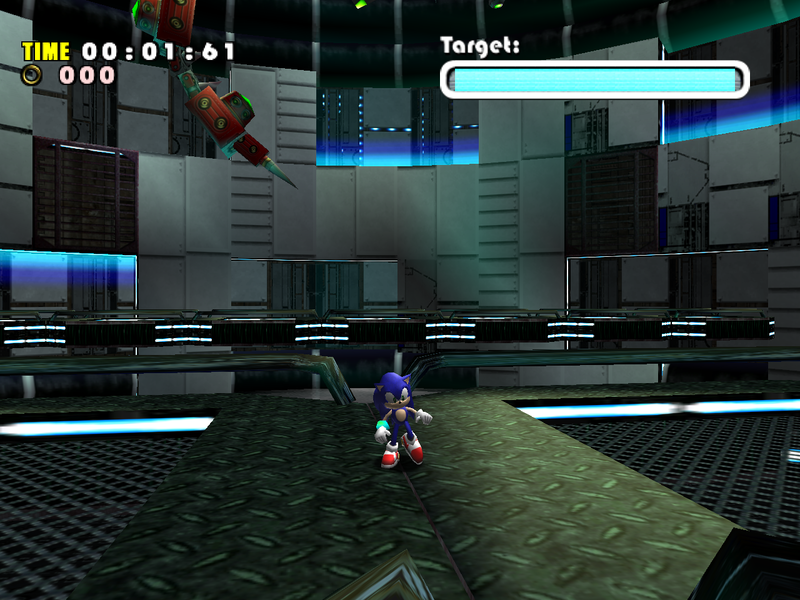 The code to make them transparent is still in the ports, but the level has these columns duplicated as static models to hide the transparent ones completely. 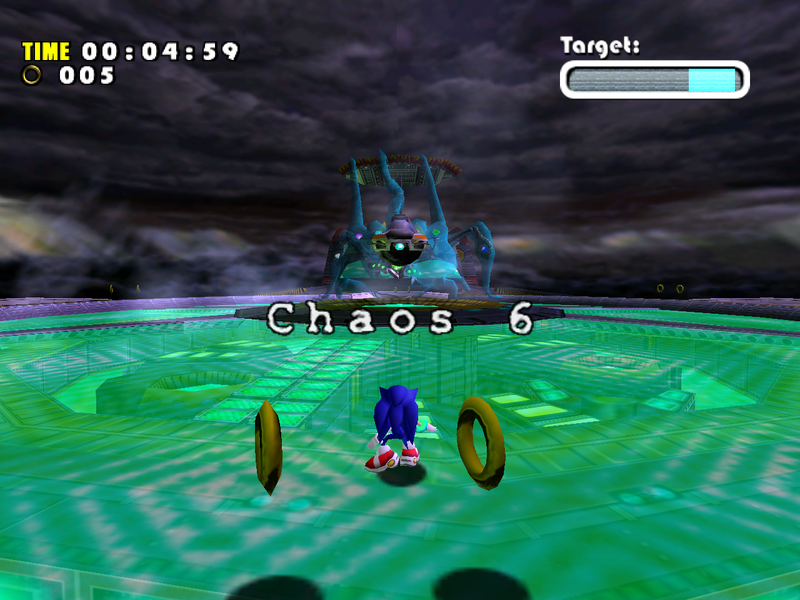 This was most likely done to hide transparency issues with Chaos’ body overlapping those columns. 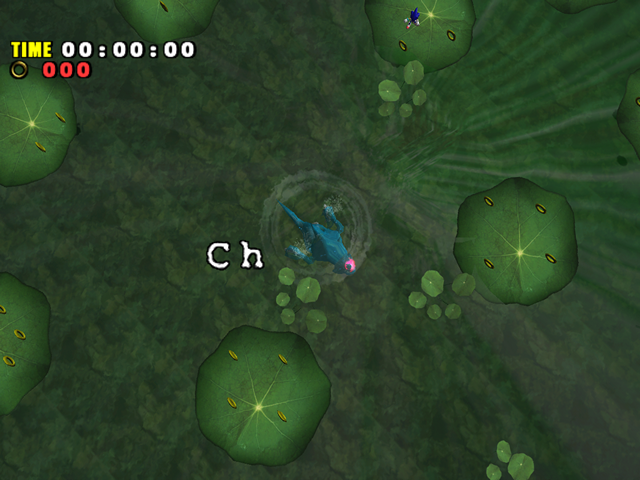 Did you know that in the Dreamcast version the pond has a green texture while Chaos is swimming in it, but changes to a different texture when you beat him? 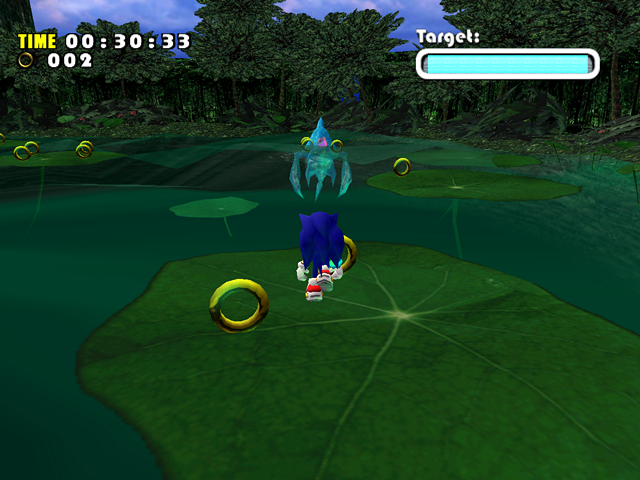 You can see it briefly before Chaos falls into the pond and after you defeat him. 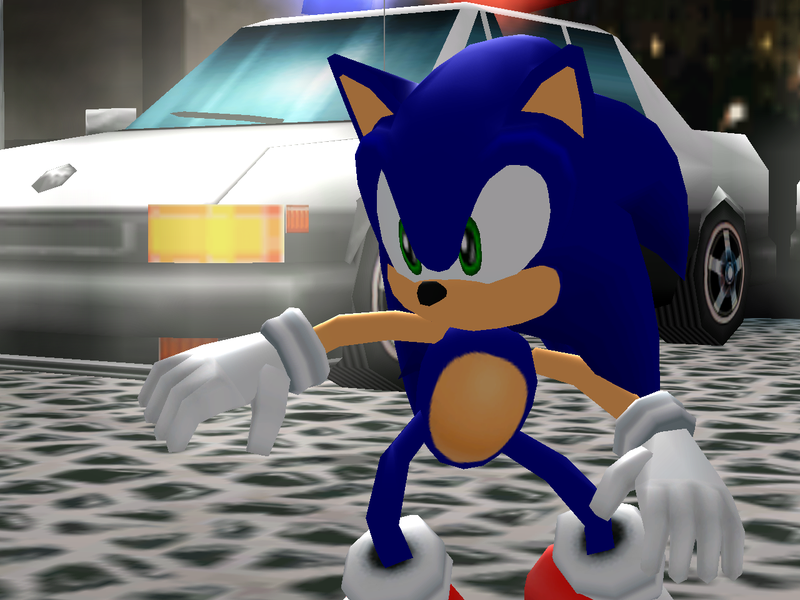 This doesn’t happen in SADX. 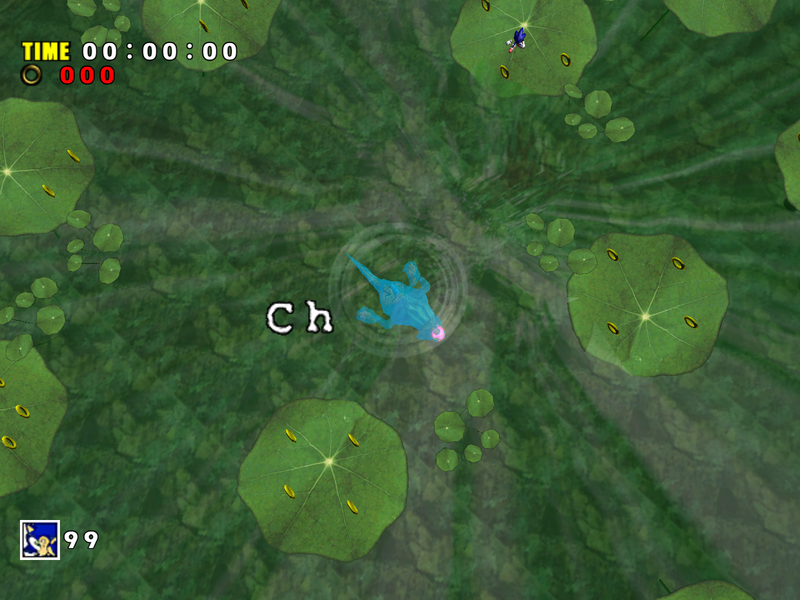 Not a big deal, but why not? 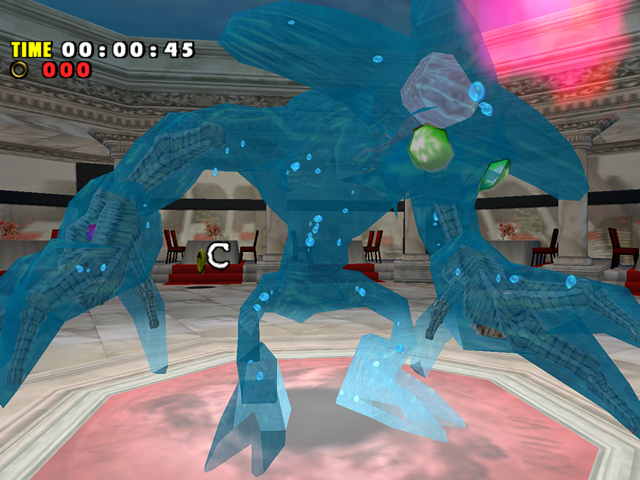 This boss fight has a lot of downgrades stemming from code bugs in the game’s transparency sorting system, as well as some massive lighting downgrades. Let’s discuss lighting first, since it’s the first noticeable difference you see right away. 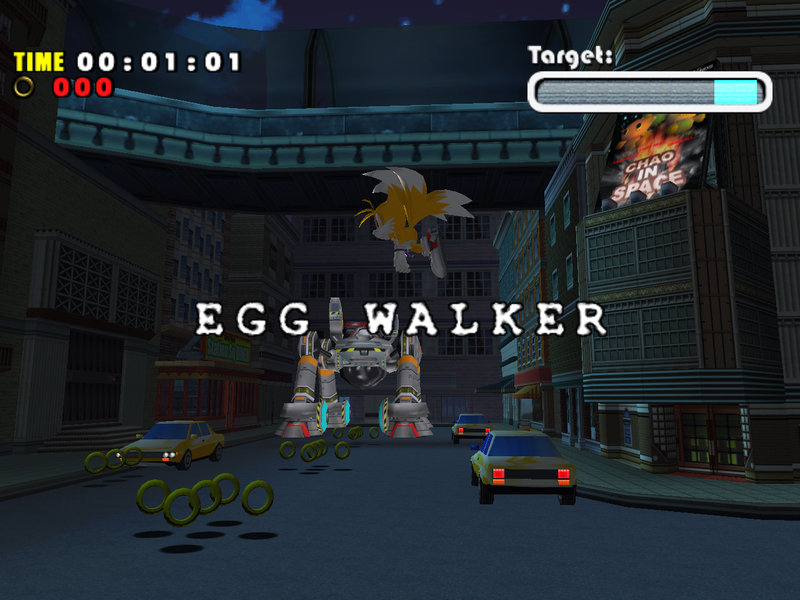 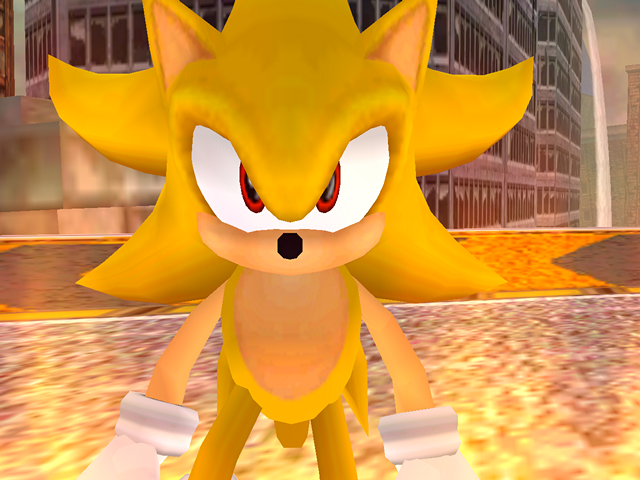 The Egg Carrier 2 model has excessive white specular lighting in SADX that makes it look strange. 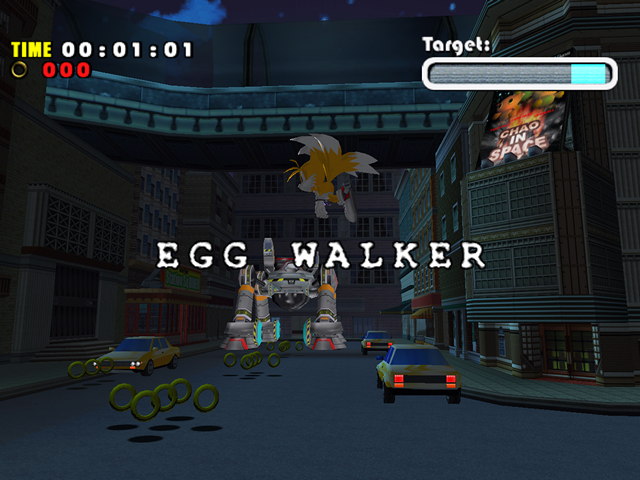 It looks particularly bad when the camera zooms in onto the Egg Carrier model. 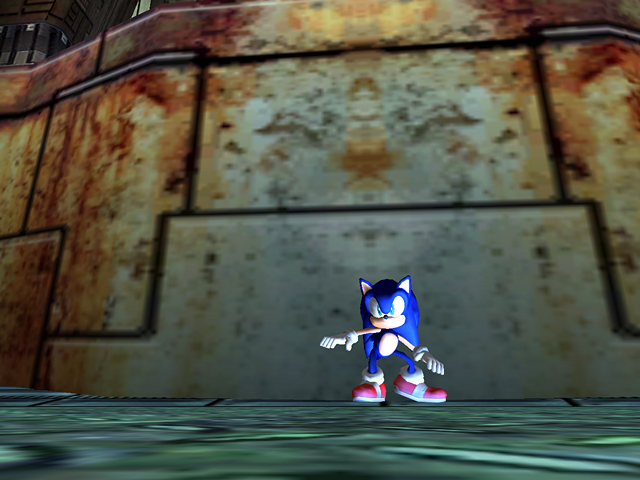 Lower texture quality is also quite noticeable if you look at the background. When Perfect Chaos is hurt, he explodes into water splashes that fly all over the place. 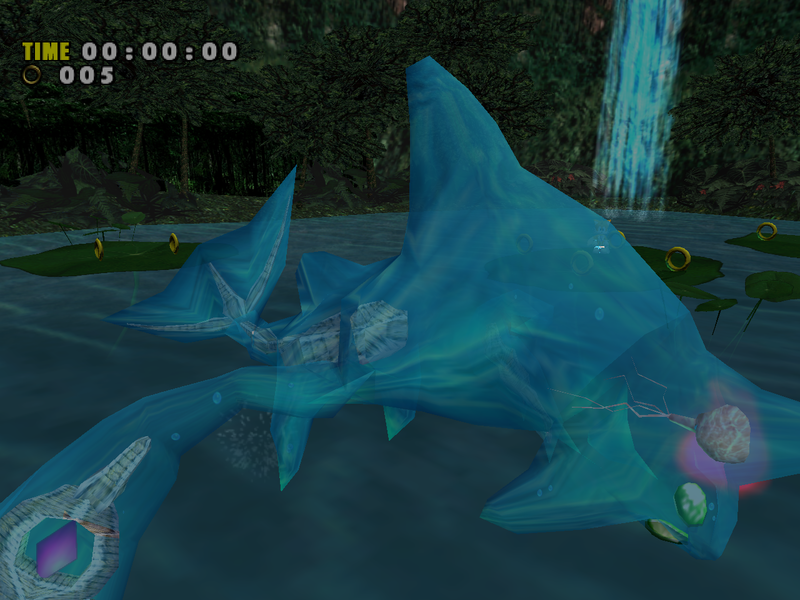 The animation for these splashes is stuck on the last several frames in the Gamecube and PC ports, which makes the whole scene a lot less impressive. The waterfalls have a particle effect at the bottom, which is missing in the ports. Well, it’s not missing, but it shows up only a few times depending on the camera angle. 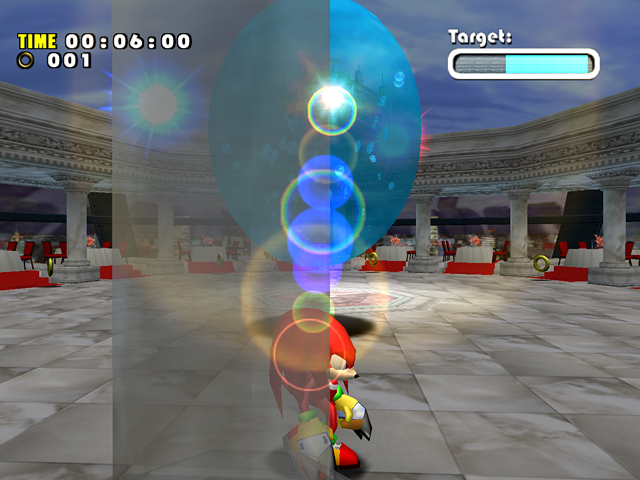 This is caused by an issue with the alpha rejection system, which makes them invisible. 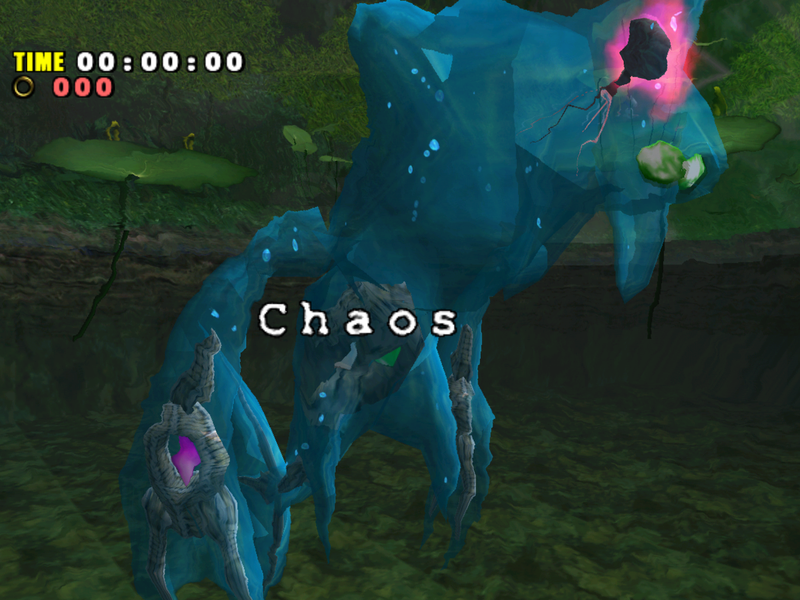 There is some faint mist around Chaos’ location, which also randomly appears and disappears in the ports due to a bug with alpha rejection. 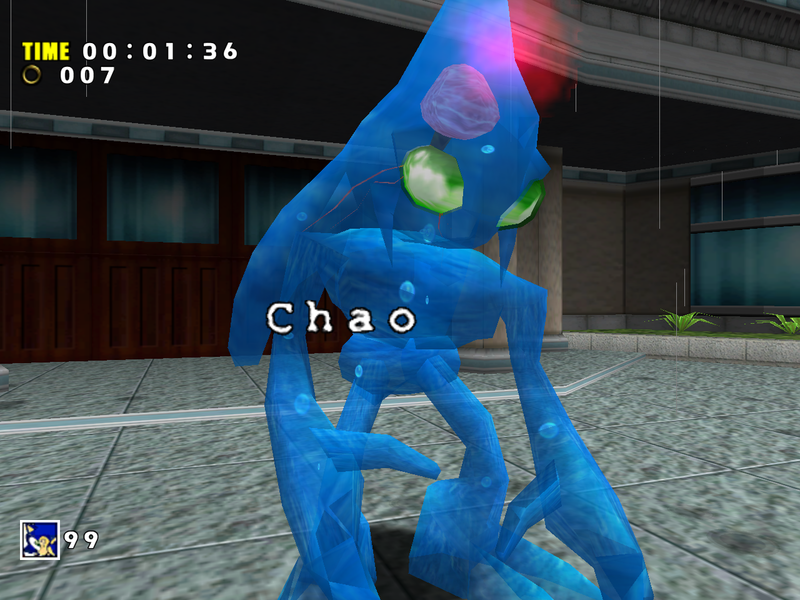 More on why that happens in the Transparency section. 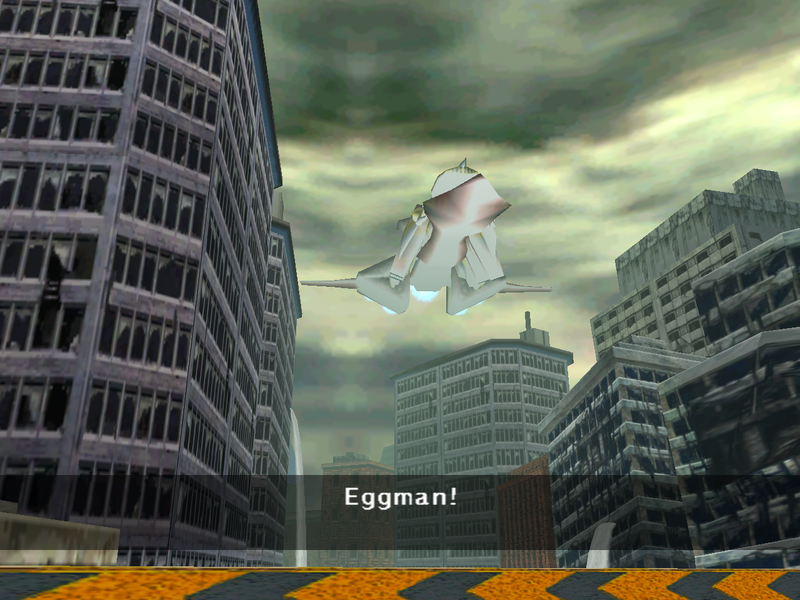 Most of the time you just don’t see it. 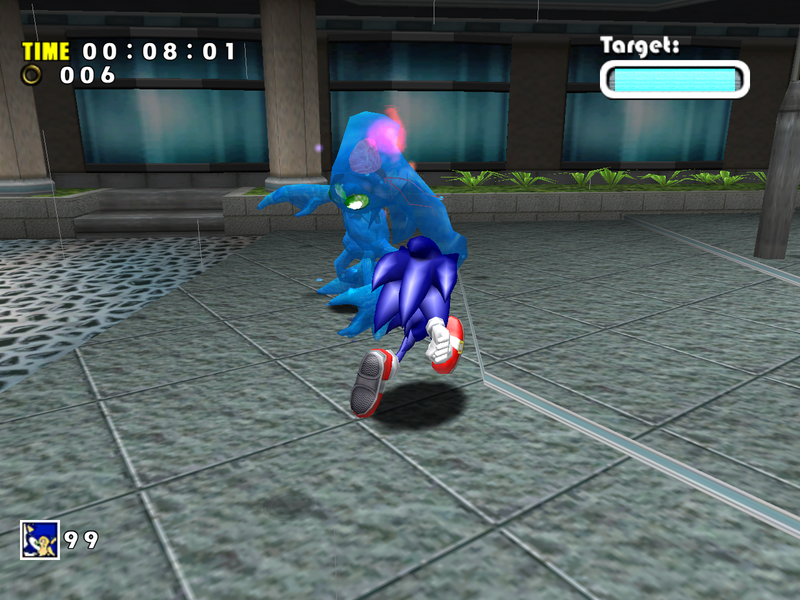 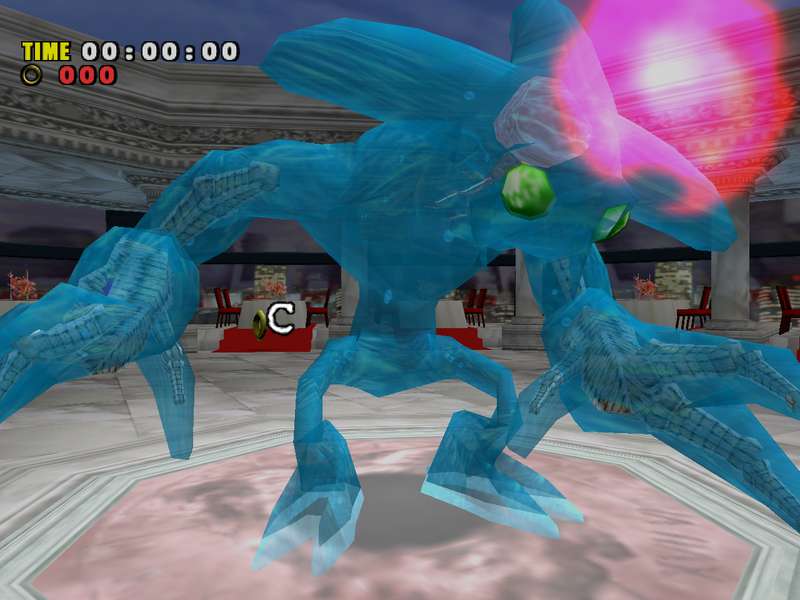 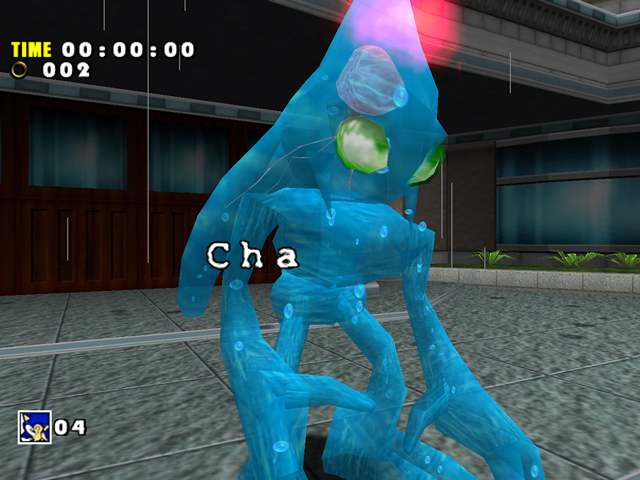 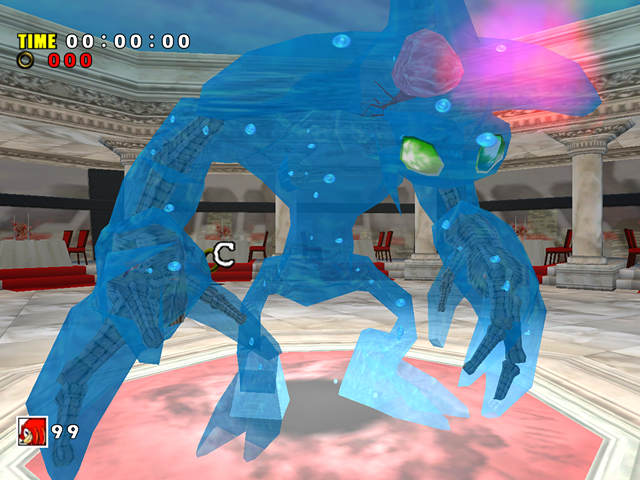 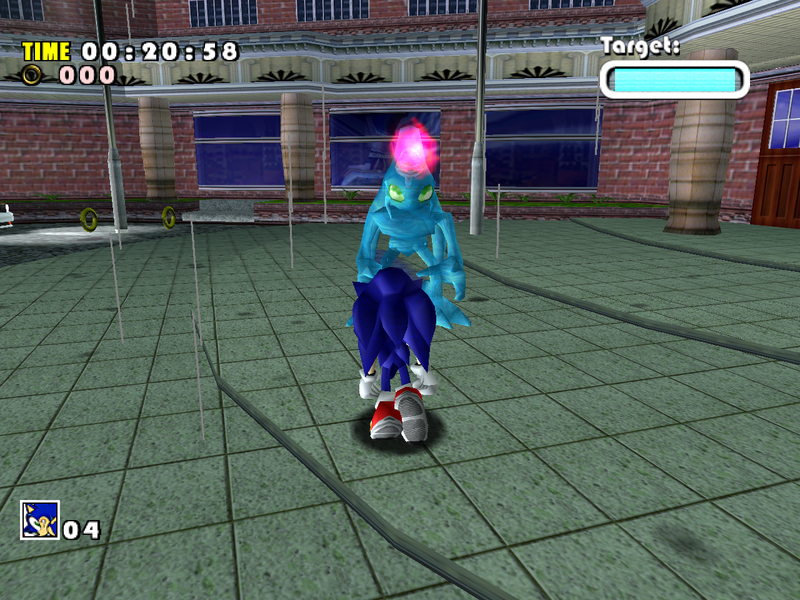 When Chaos emerges from the water, the tornadoes around his body fade in slowly in the Dreamcast and Gamecube versions. 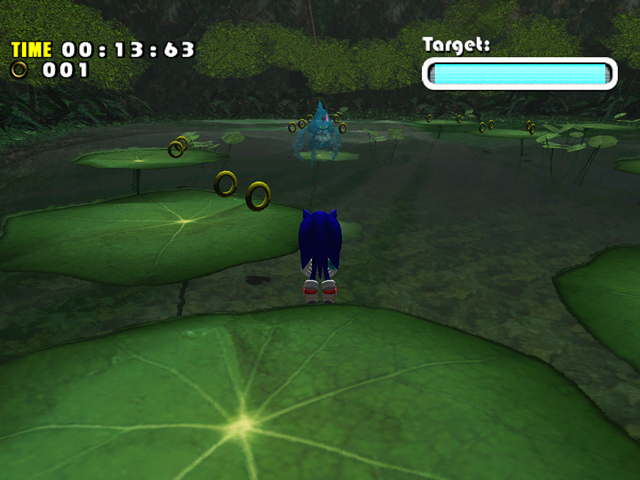 In the PC version they just pop in. 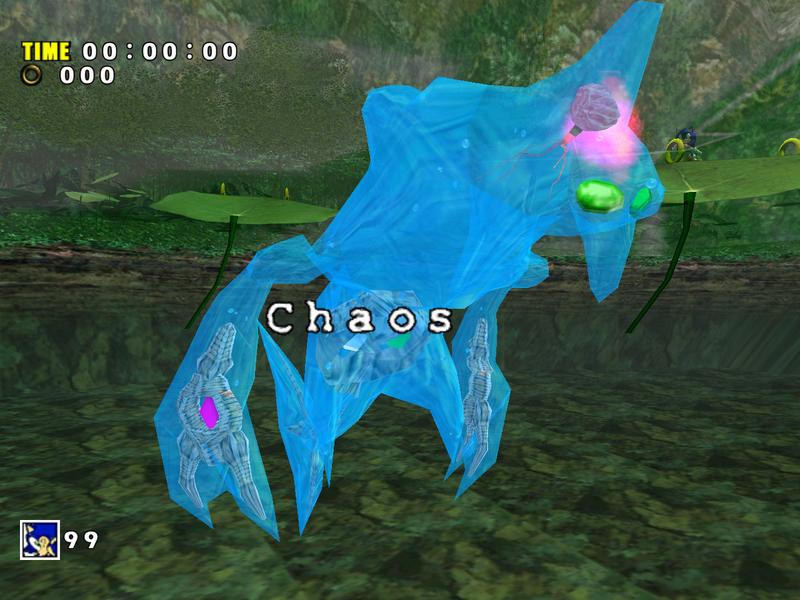 On the Dreamcast the tornadoes around Chaos’ body have animated UVs that make it look like the tornadoes are spinning in opposite directions. 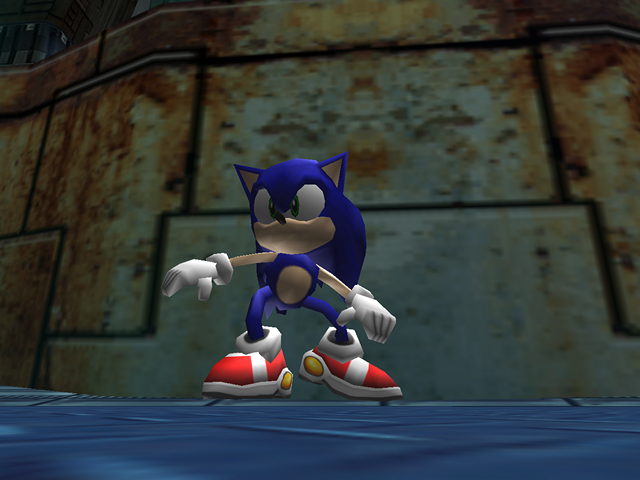 The animation is still there in SADX, but it’s harder to see which direction the tornadoes are spinning because the animation is choppy. 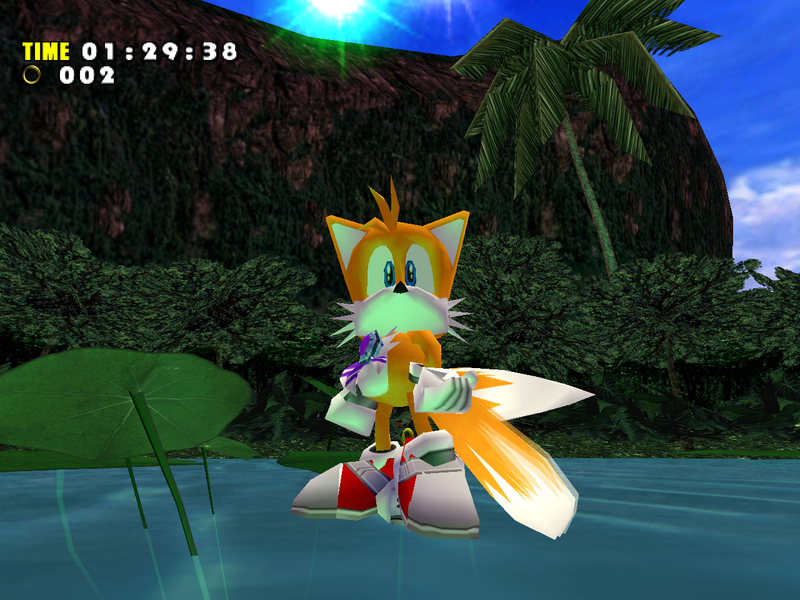 This is caused by two things: 1) the animations have been simplified in the ports 2) the animations themselves are faster because of the increased framerate in the ports. 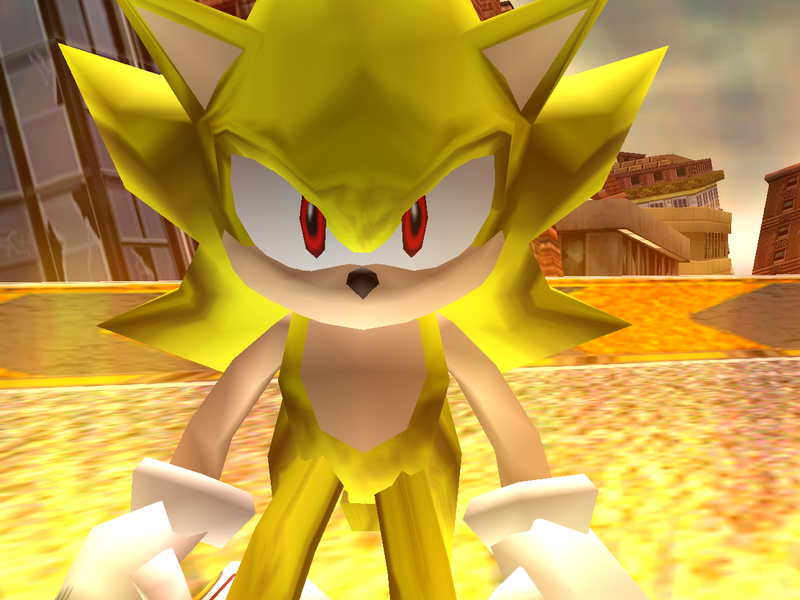 Let me also briefly mention the Super Sonic model. His body has lost the environment mapping effect and is now using a static yellow texture. 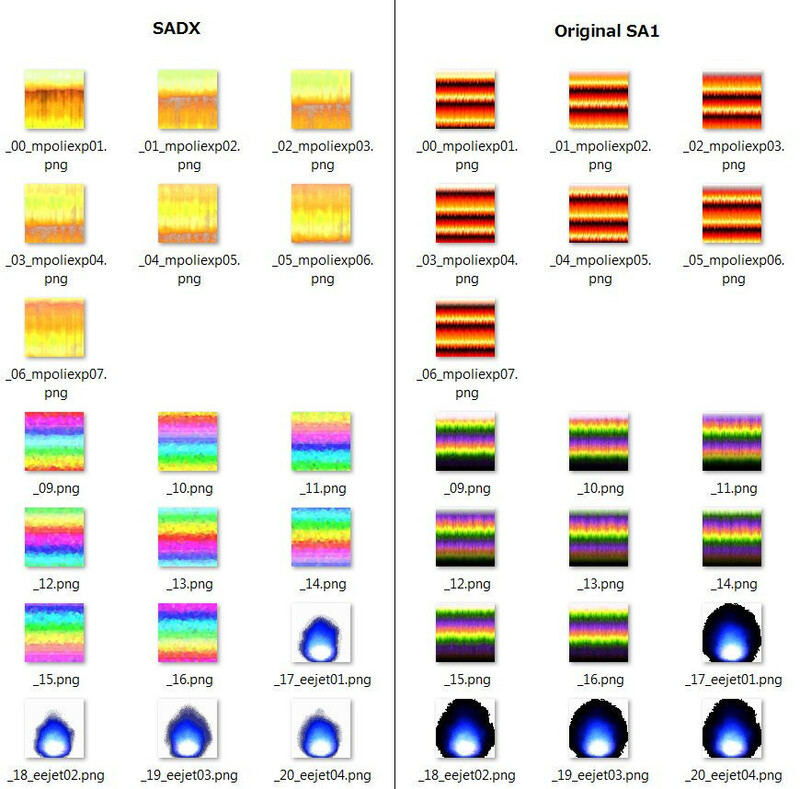 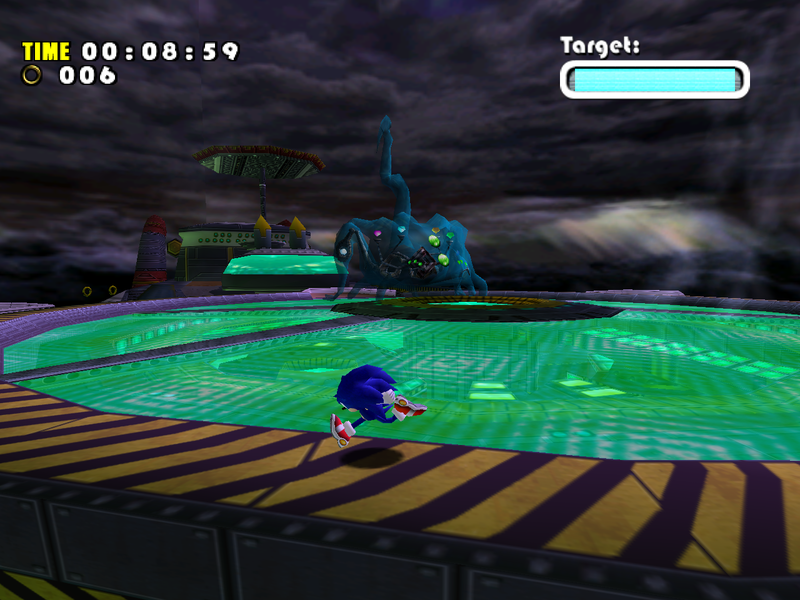 The distortions created by the environment mapping effect react to camera changes, but the yellow texture always looks the same. 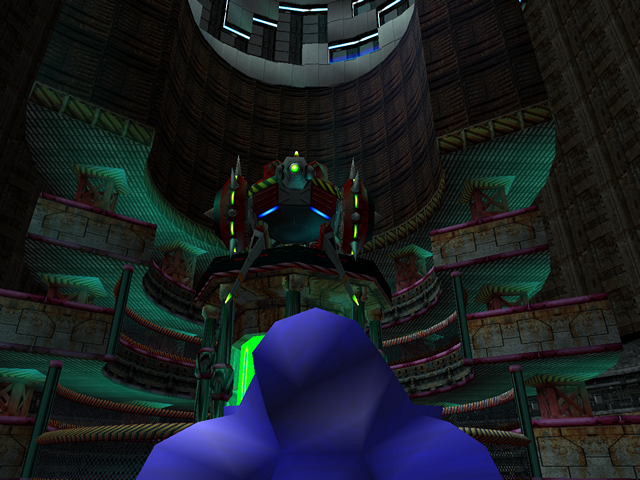 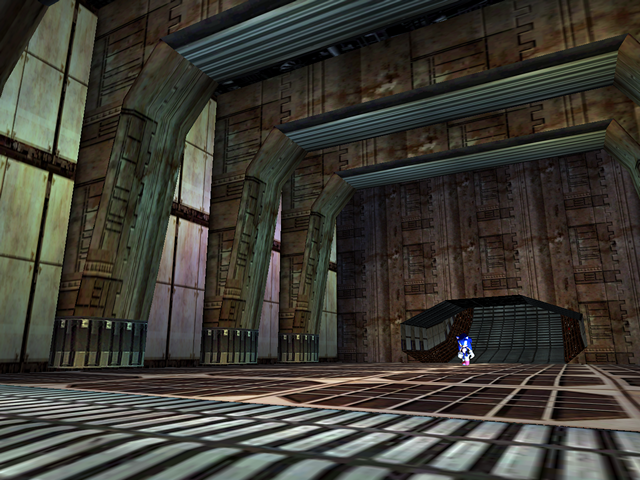 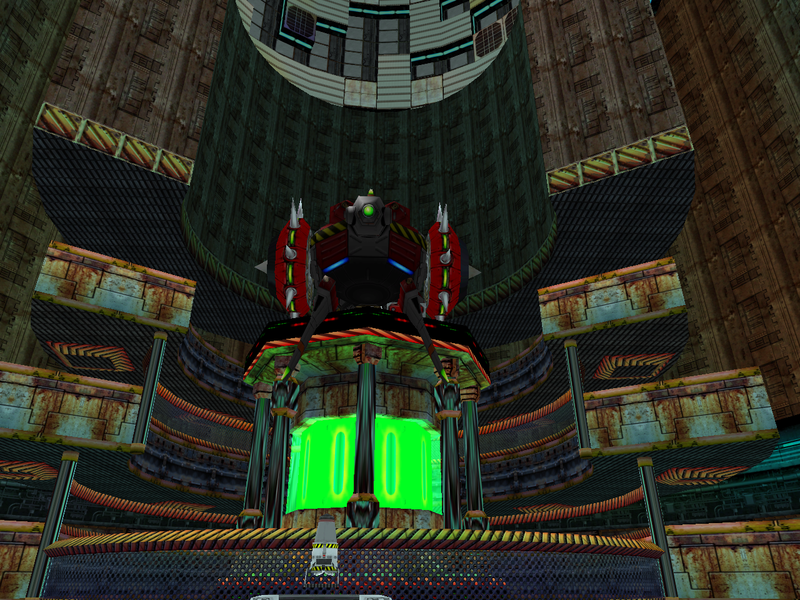 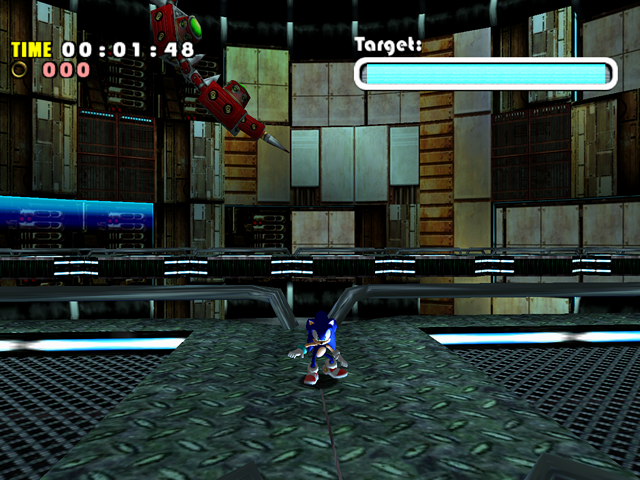 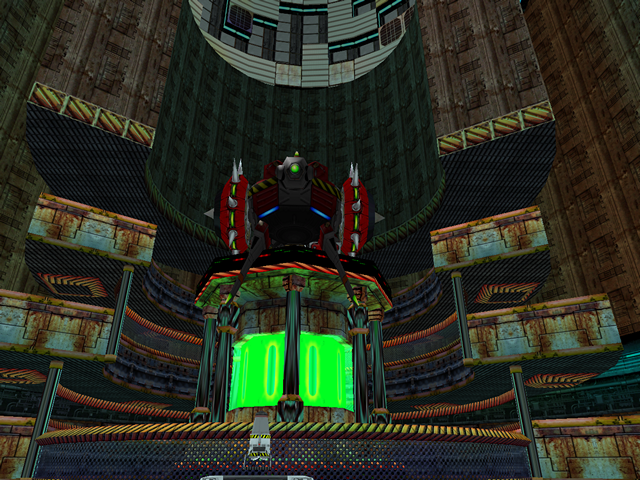 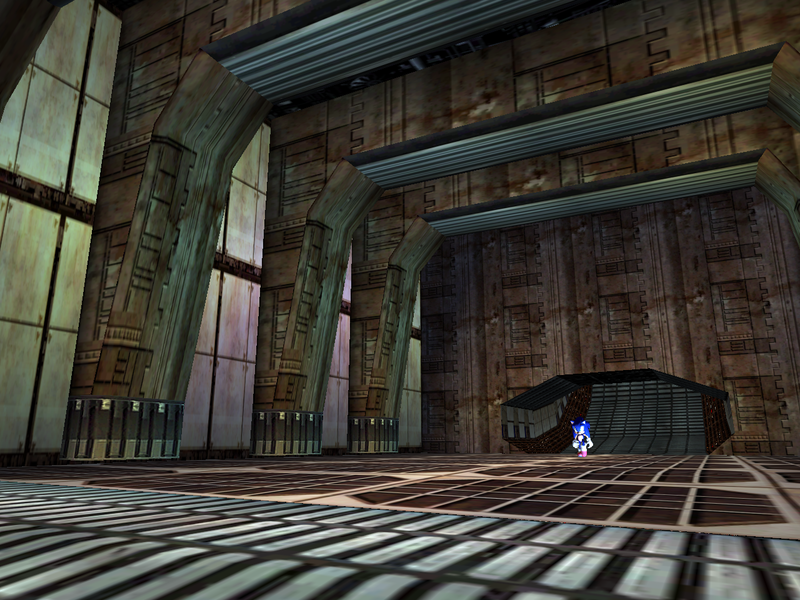 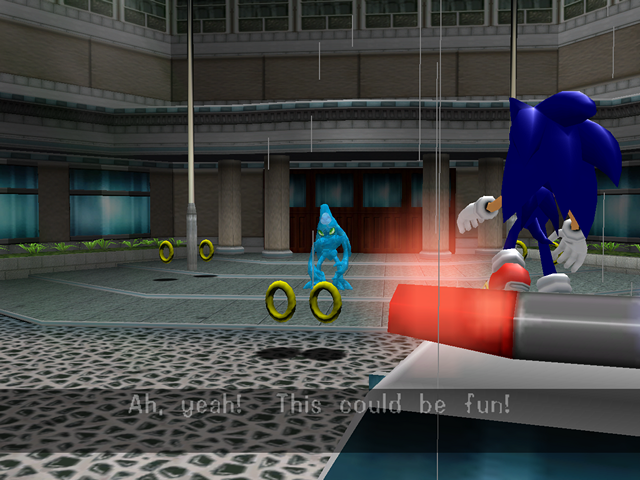 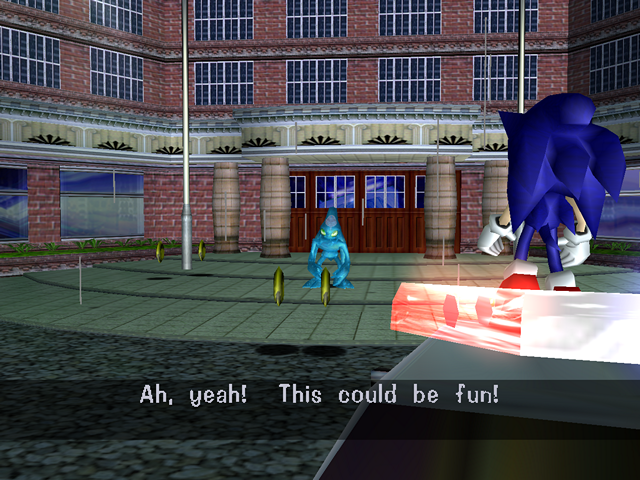 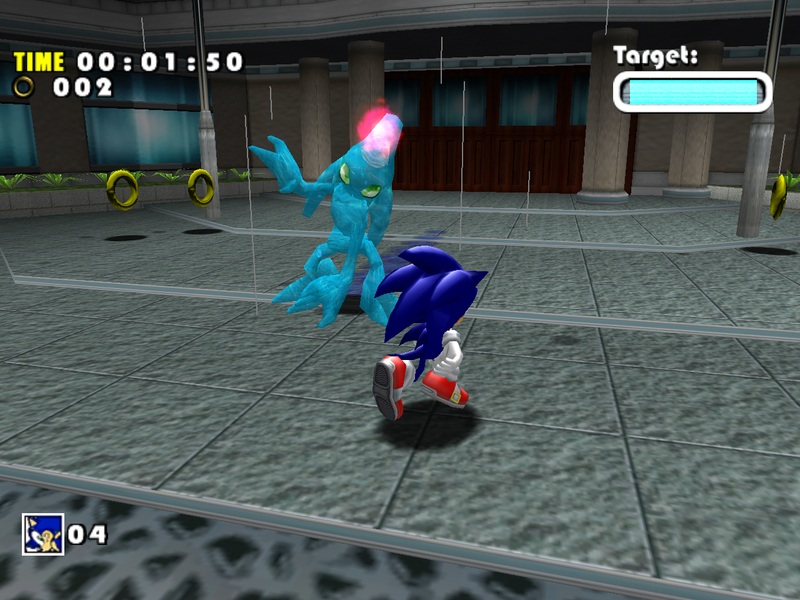 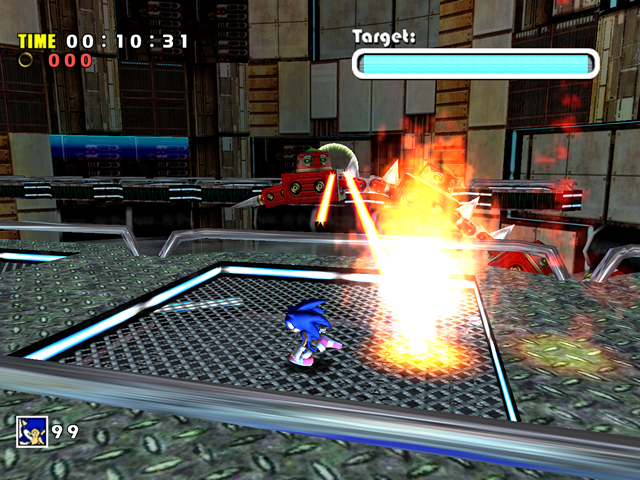 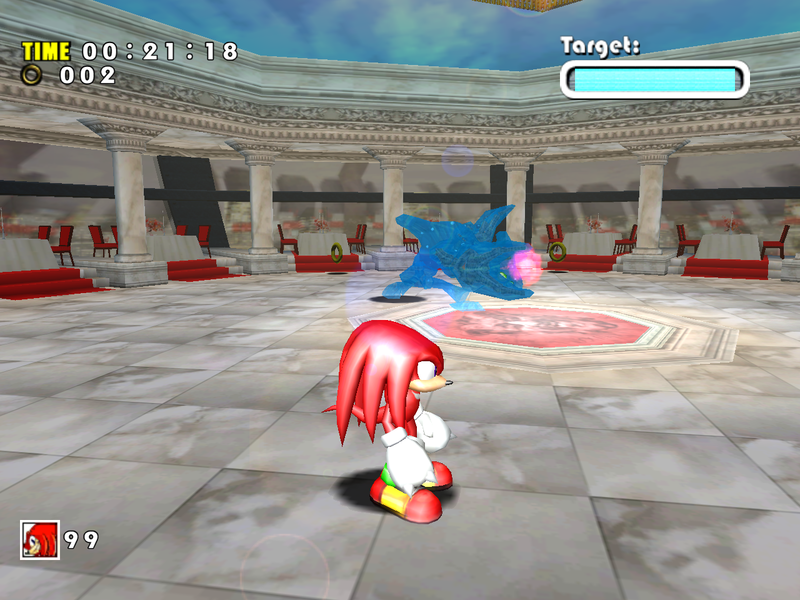 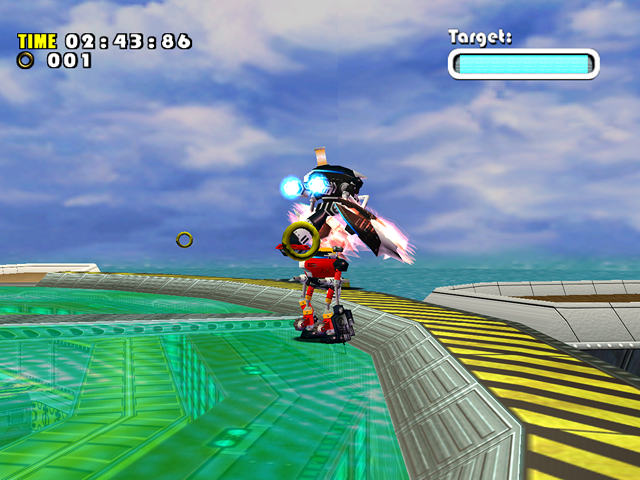 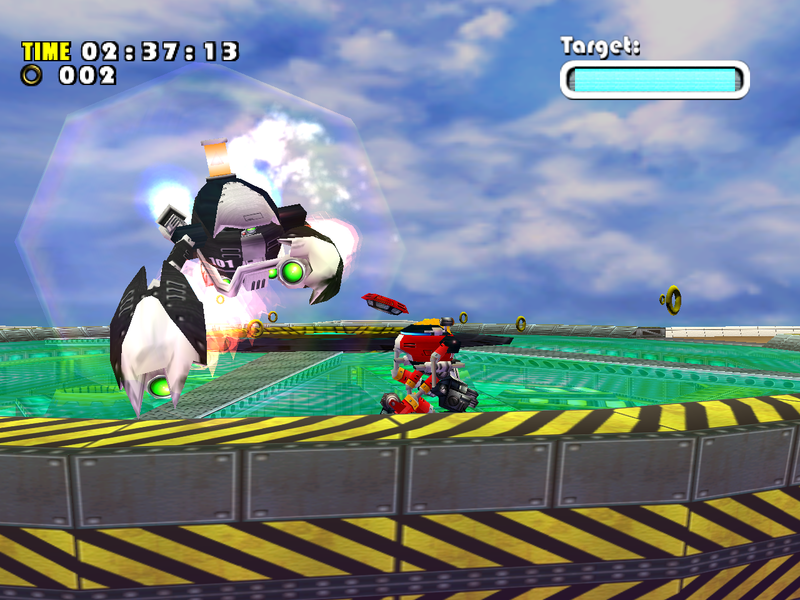 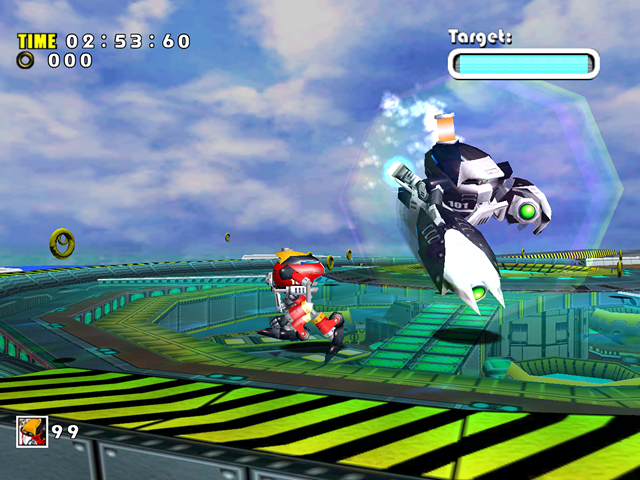 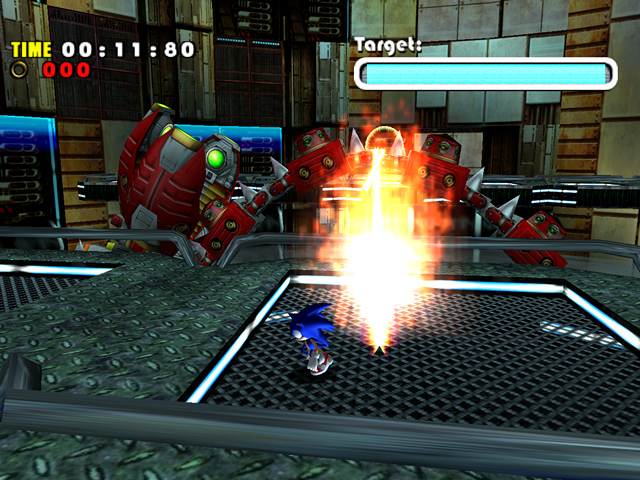 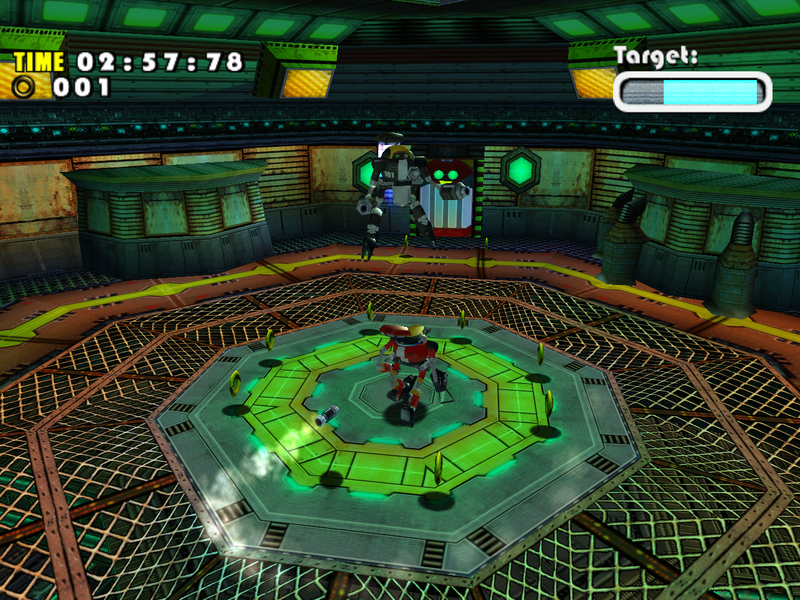 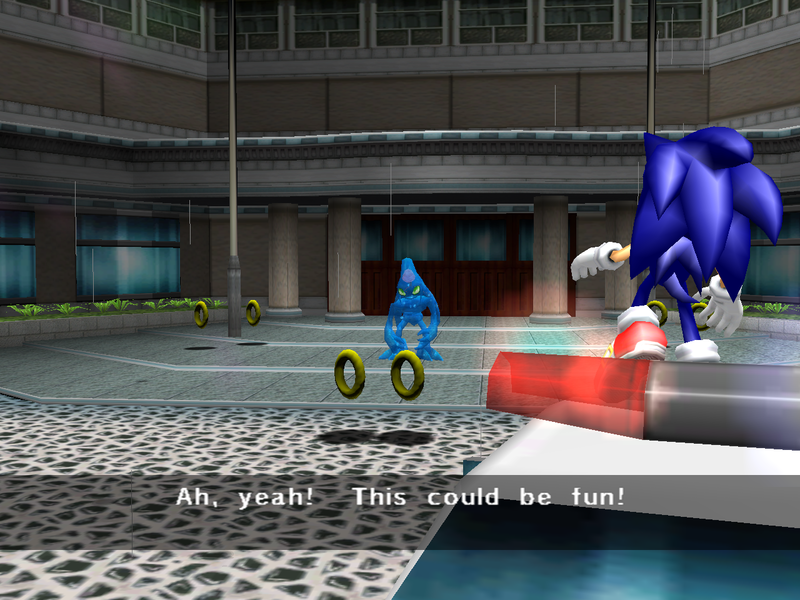 This boss fight was updated to reflect the changes made to Station Square, but the cars in this area are still using their shiny Dreamcast models as opposed to the updated SADX models you can see in the Adventure Field. 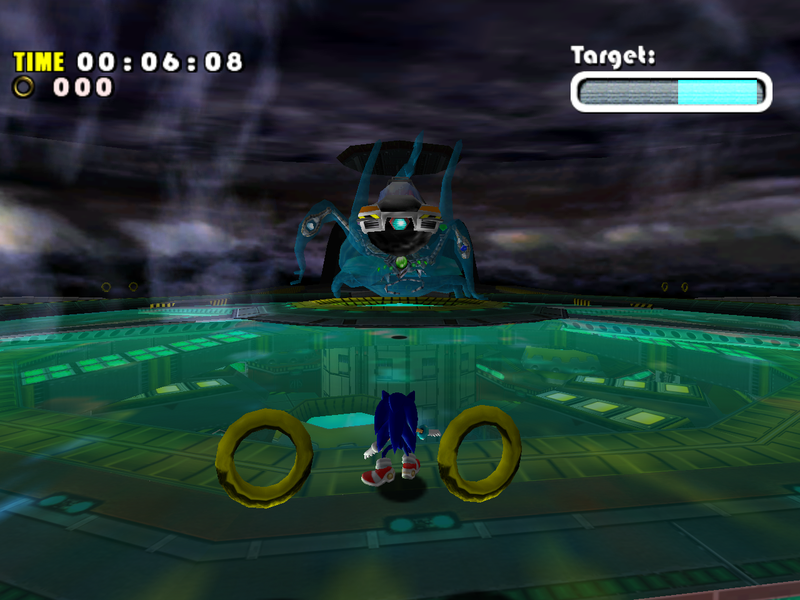 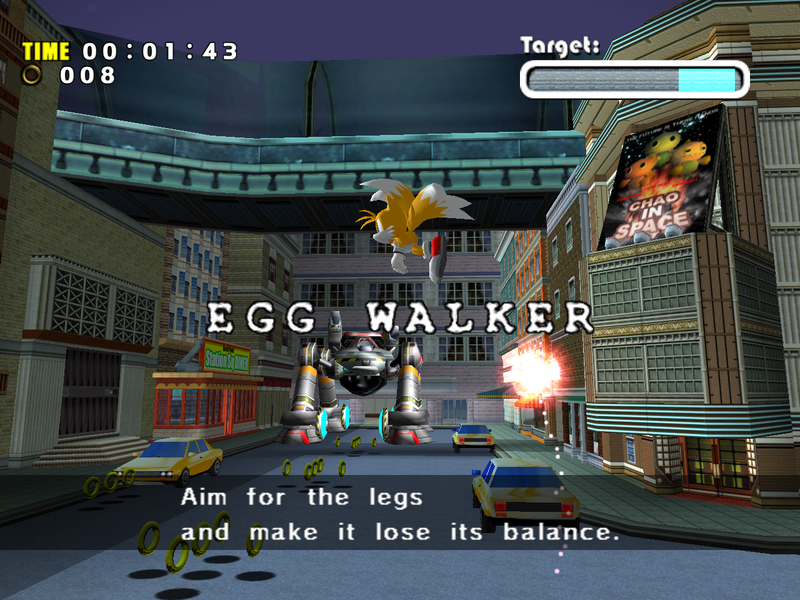 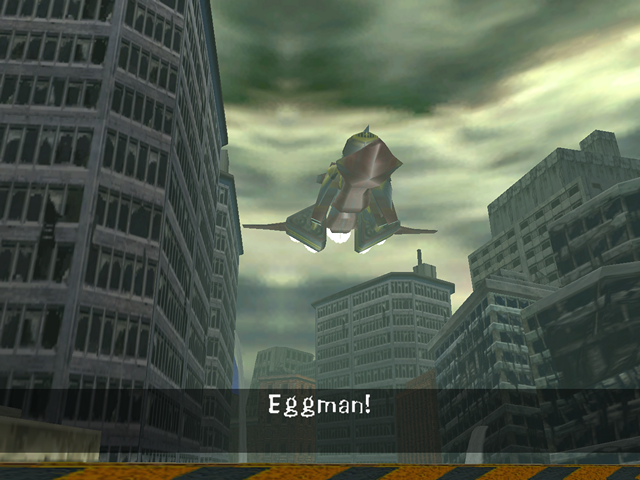 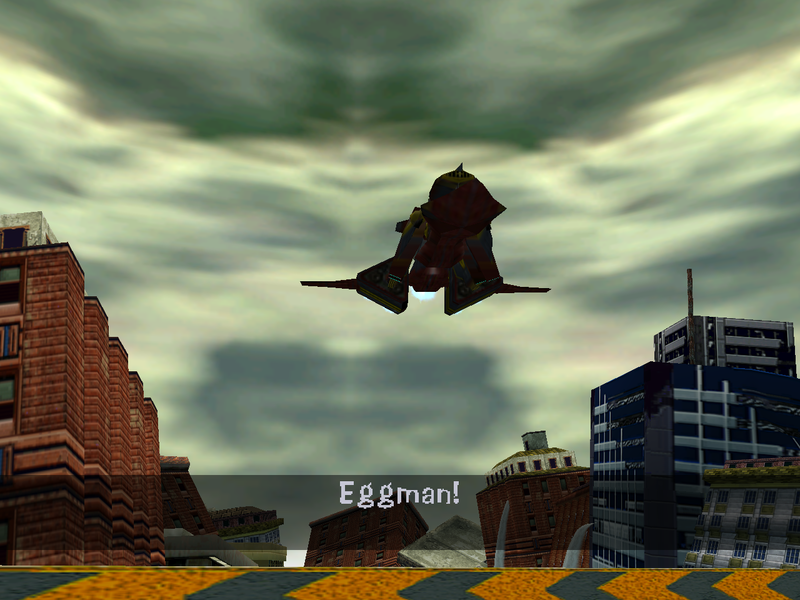 However, the most noticeable problems with this boss are 1) lighting on the Egg Walker model and the rest of the stage, and 2) missing skybox in the PC version. 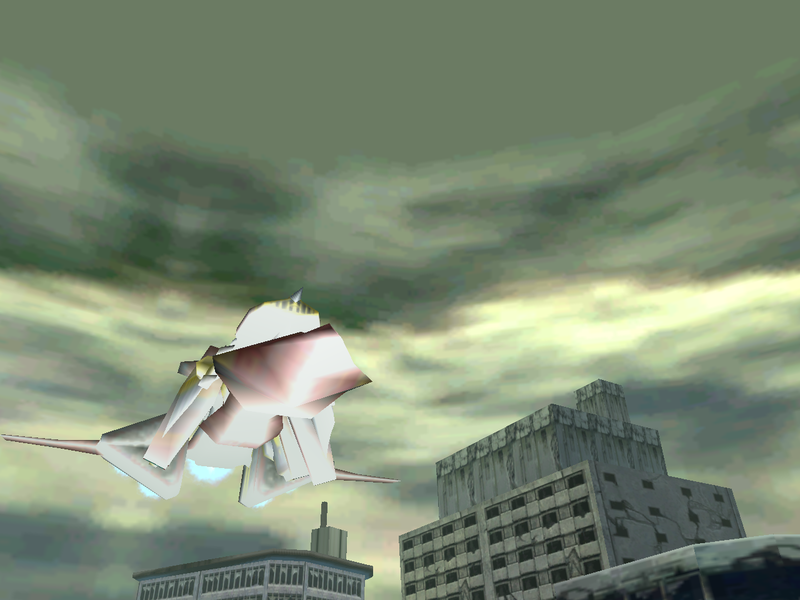 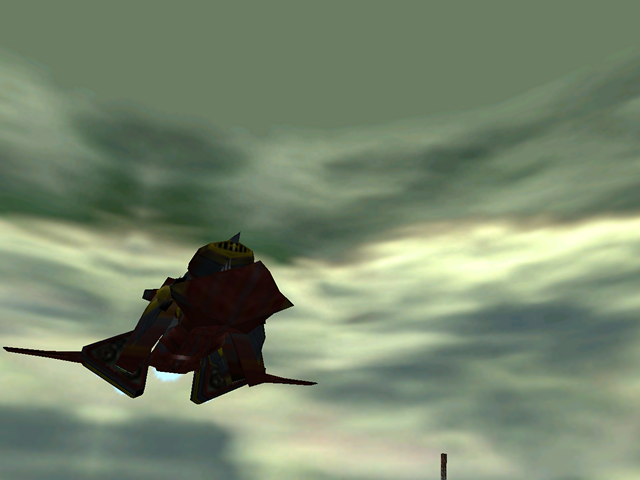 If you look closely, you can notice that the sky is slightly more purple in the Gamecube version, which is the same color as the missing skybox in the PC version. This is caused by added fog on the Gamecube, which didn’t work well in the PC port. 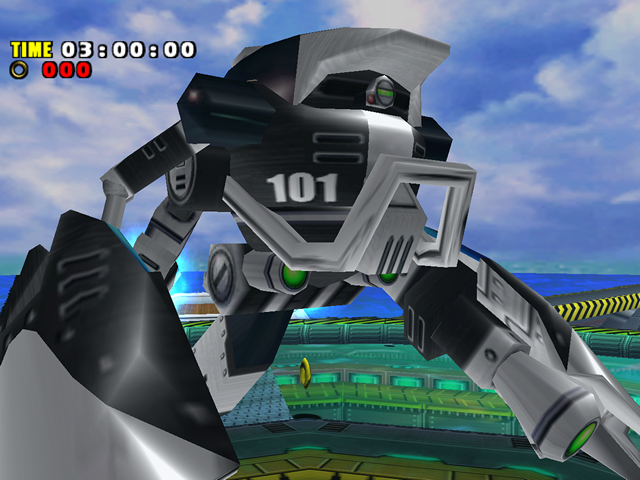 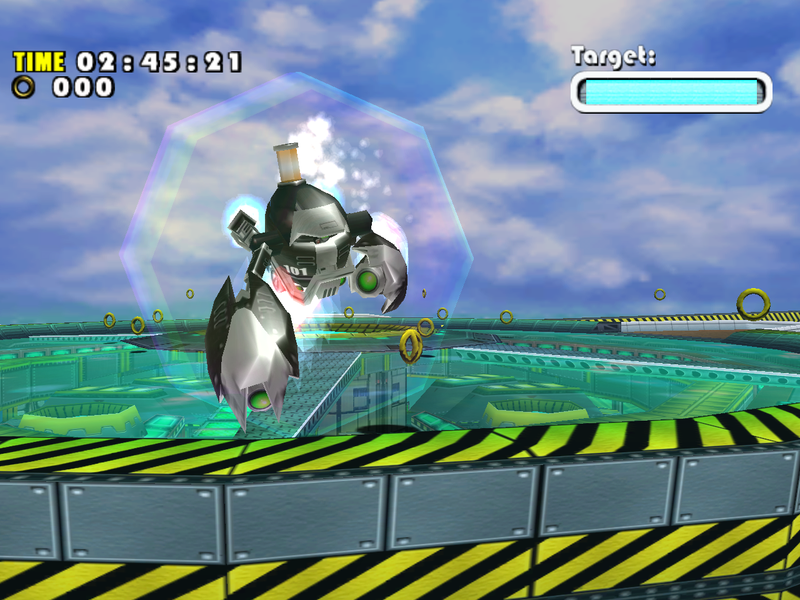 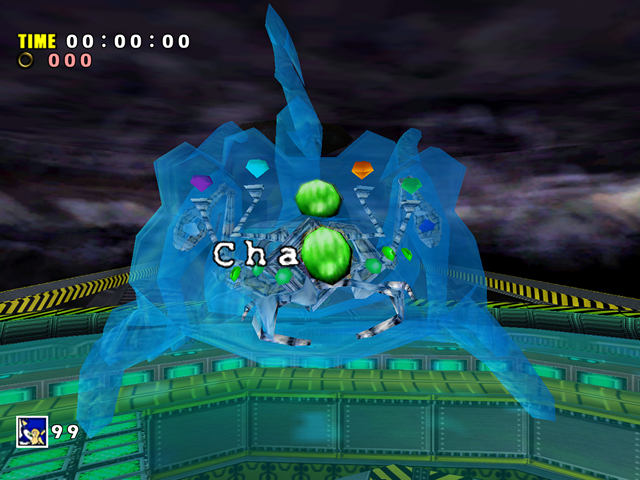 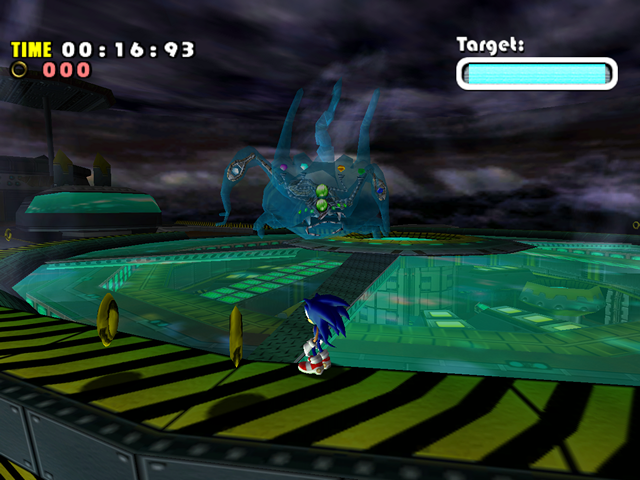 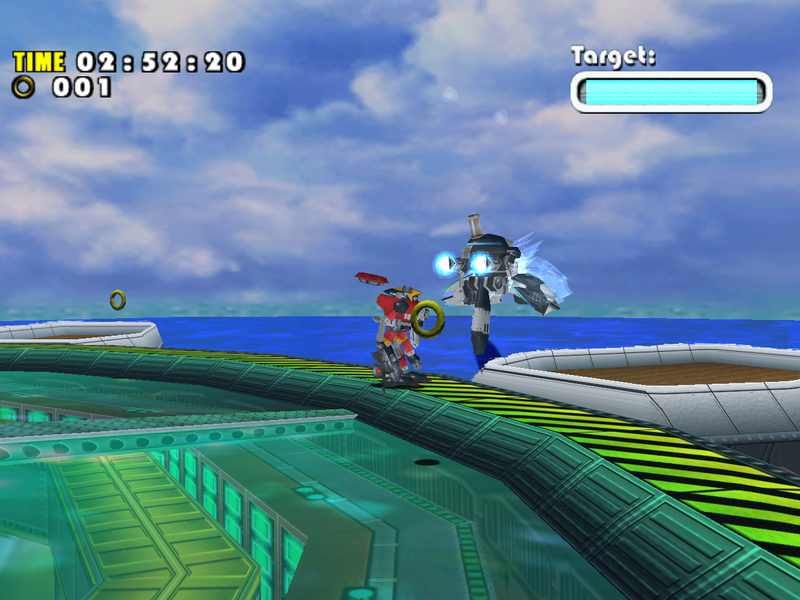 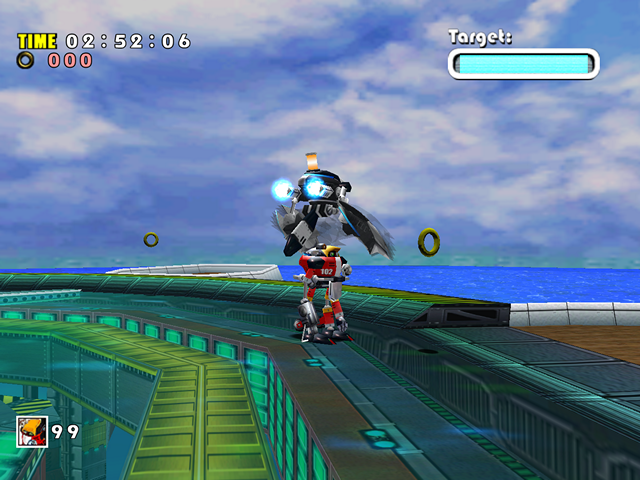 The Gamecube version has several fog modes that allow the fog to disperse in different ways, while the PC version only has linear fog, which is why the sky is obscured completely by it. 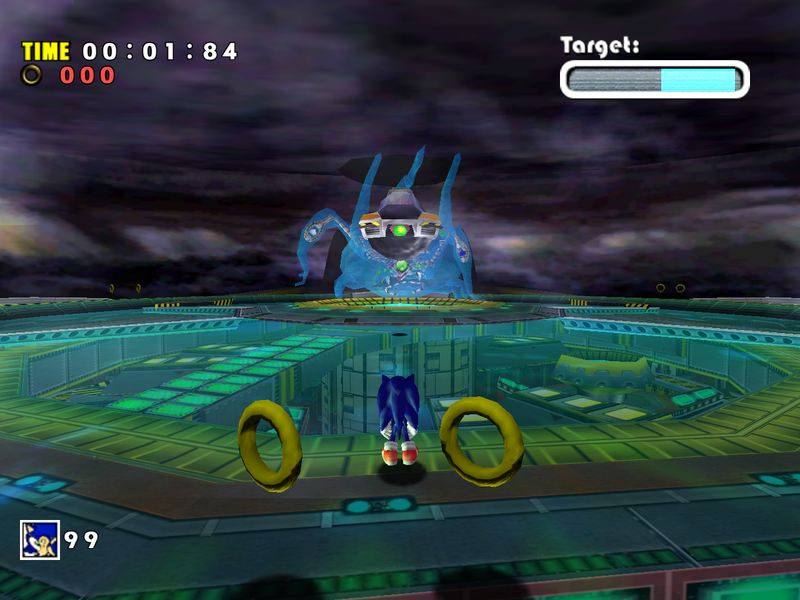 The only thing the developers had to do to fix this in the PC version is to reduce or disable fog, which isn’t even needed in this area. 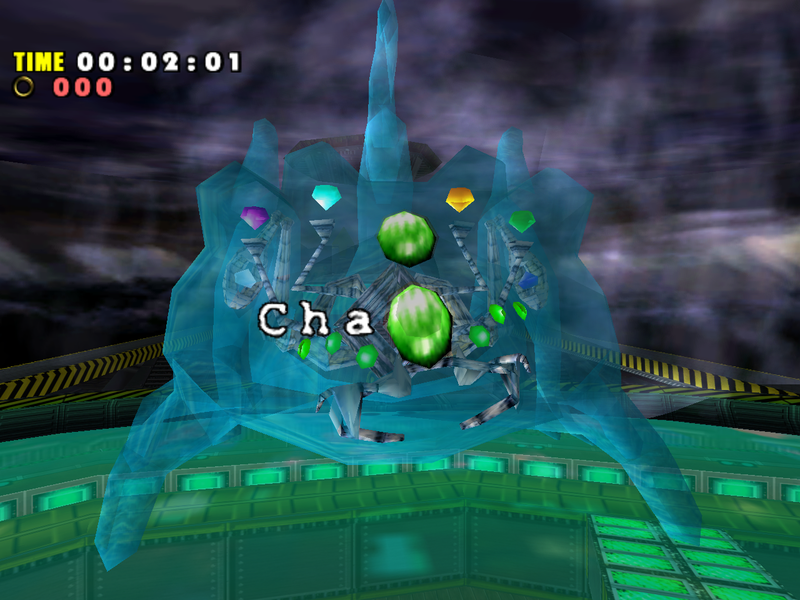 The area where you see the Egg Viper for the first time suffers from lighting downgrades, with the green shading missing entirely and the Egg Viper model being lit up for no reason on the Gamecube. 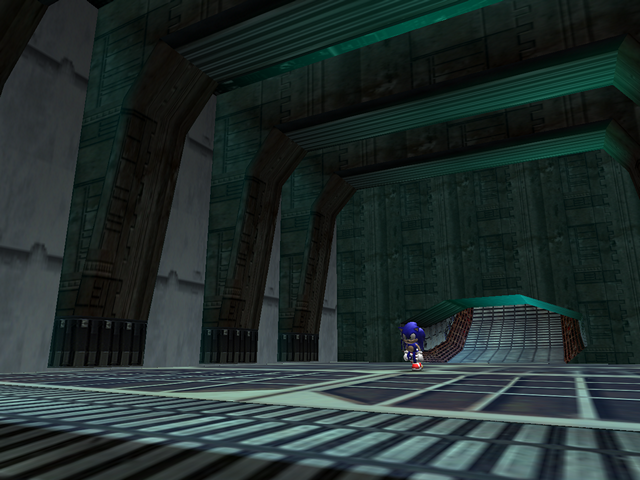 In the PC version lighting is almost completely missing in this area. 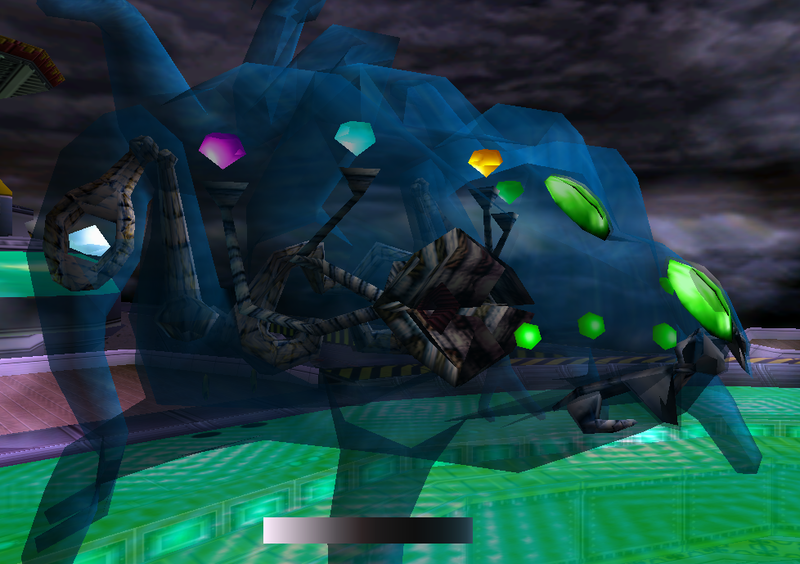 The walls in the area where you fight the Egg Viper were changed to look more “rusty”, and the spinning dot effect behind the walls is no longer visible. 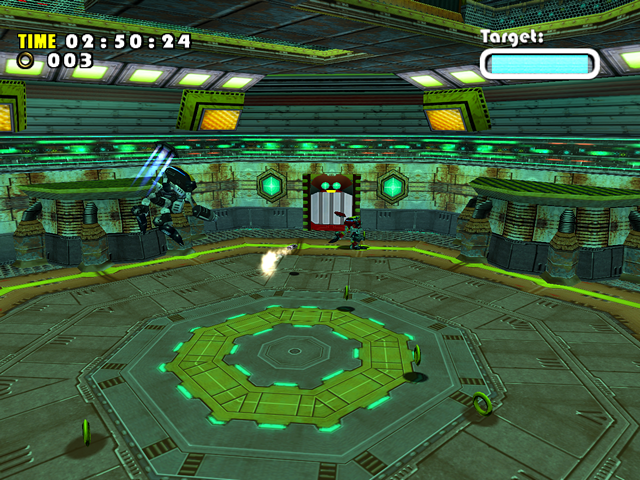 The lighting was also simplified, although the Gamecube version doesn’t look too bad. However, calling it an improvement over the original version is a bit of a stretch. The lighting on the platforms is also simpler in the ports. One of Egg Viper’s attacks is a big explosion. 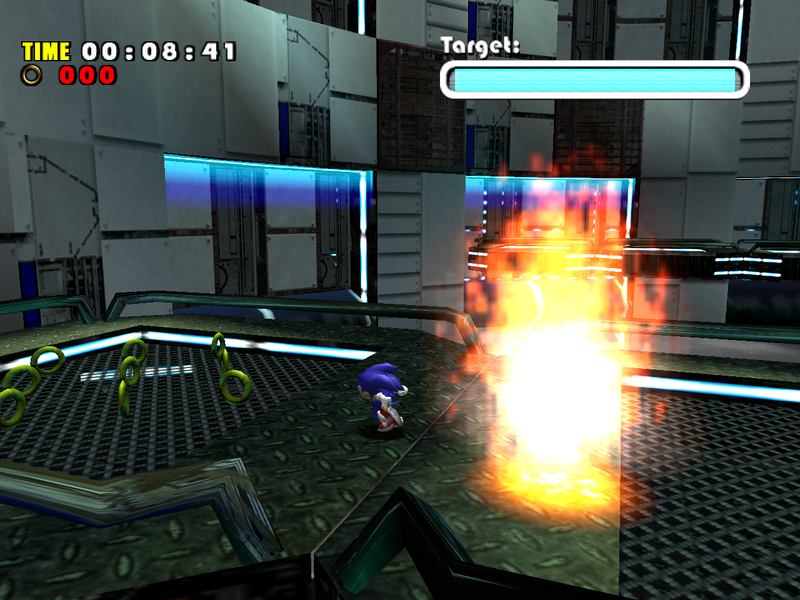 This explosion also colors the walls red in the Dreamcast versio. 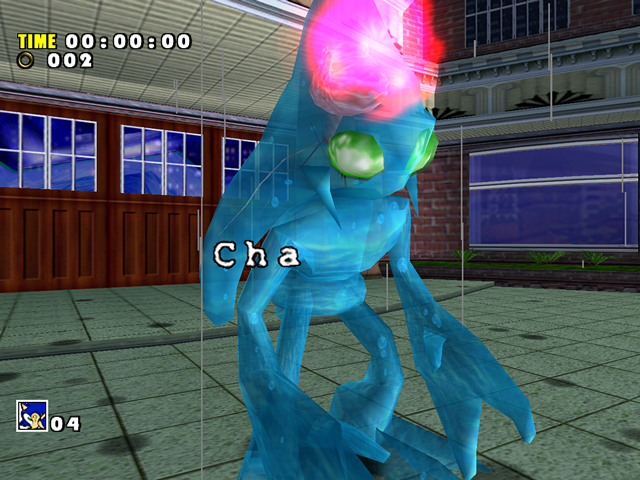 The effect is still there on the Gamecube, but it isn’t as bright. 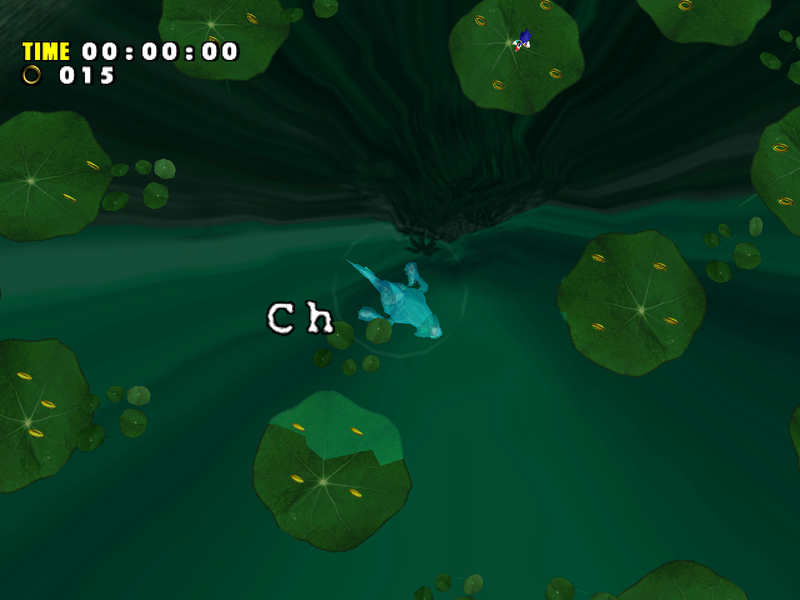 In the PC port the effect is completely missing. 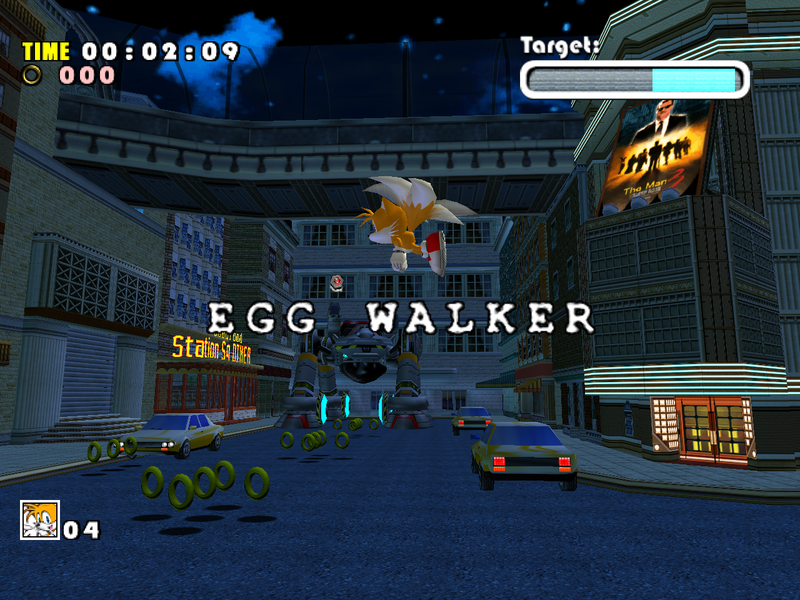 As you can see, all bosses have downgrades in SADX, and the boss fights that were the most impressive on the Dreamcast (Chaos 0, Egg Viper, Perfect Chaos) have suffered the most. It is quite unfortunate that a lot of people play the massively downgraded ports of Sonic Adventure on the Gamecube, PC and nextgen consoles without realizing how much inferior they are to the original Dreamcast game. The Dreamcast Conversion mod resolves all issues discussed here. 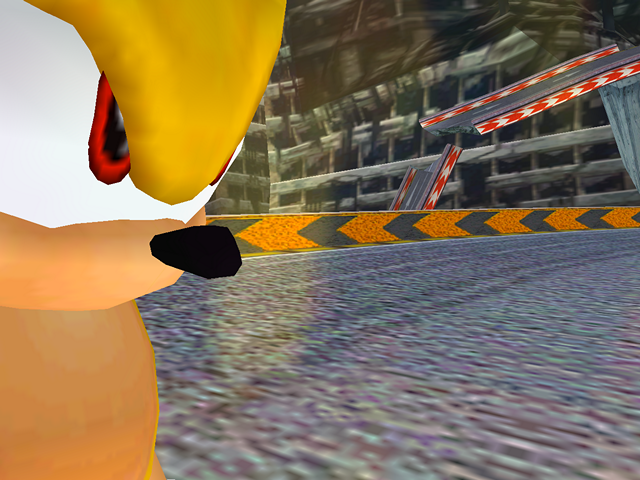 Visit this page to learn more about SADX mods.